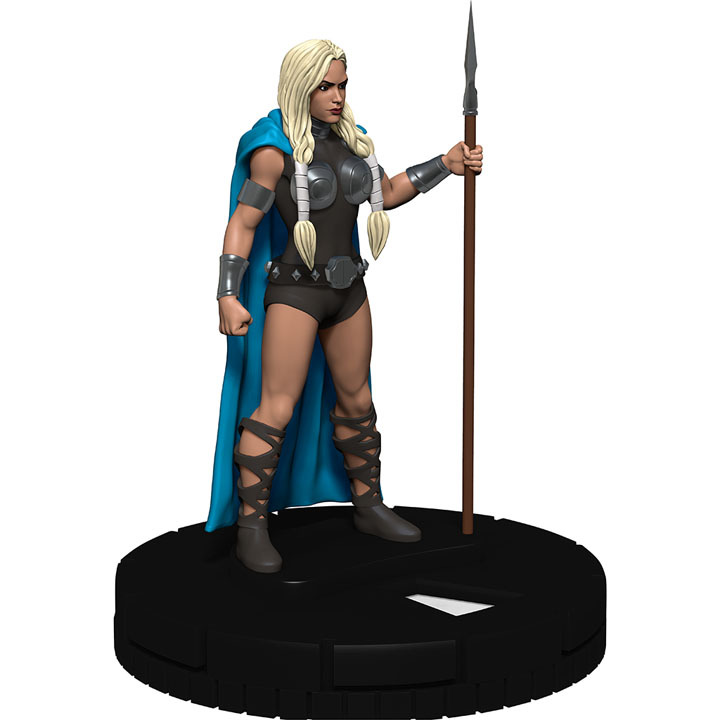 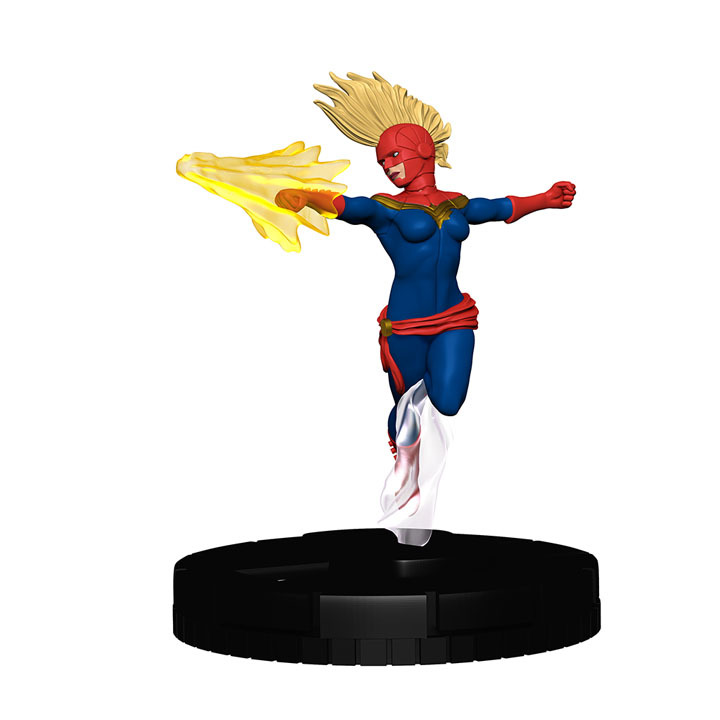 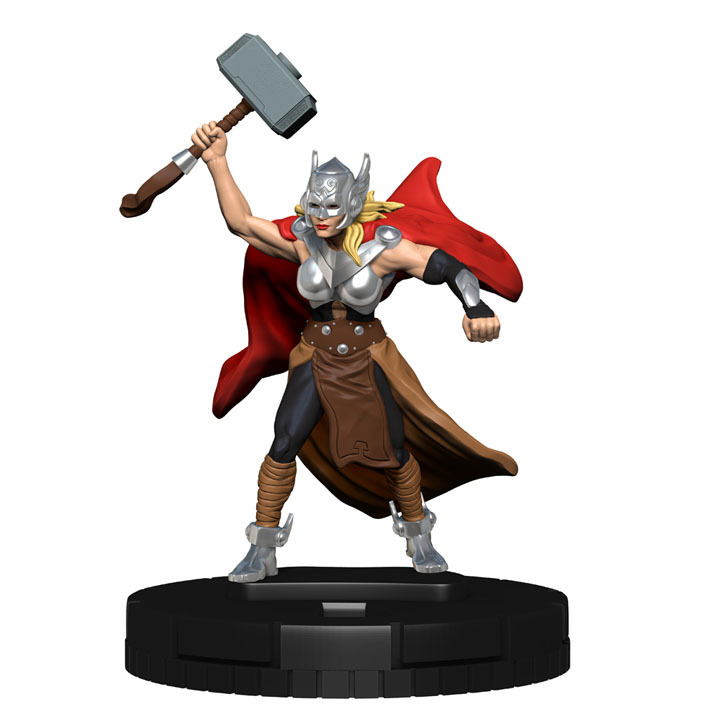 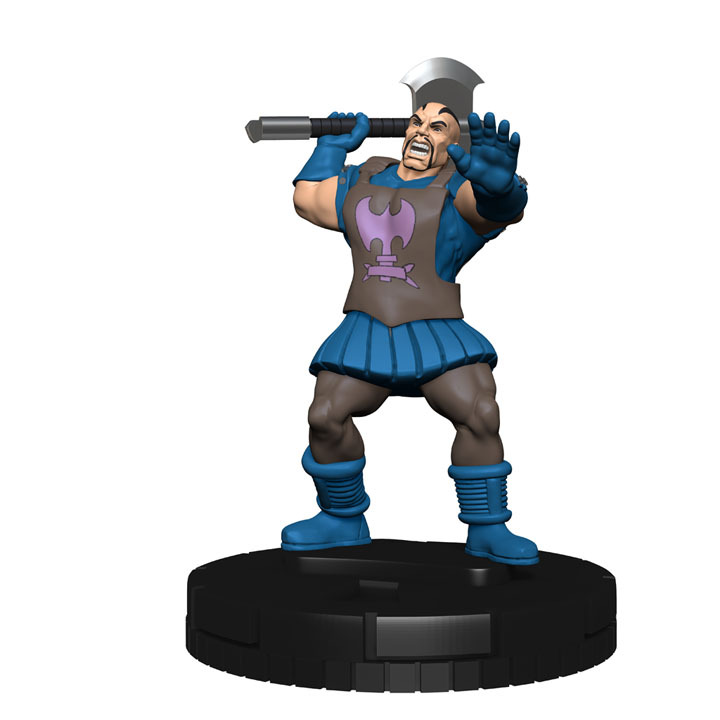 Marvel HeroClix: The Mighty Thor storms onto the scene with new ways to equip powerful weapons, and plenty of characters we haven’t seen in HeroClix in a while! 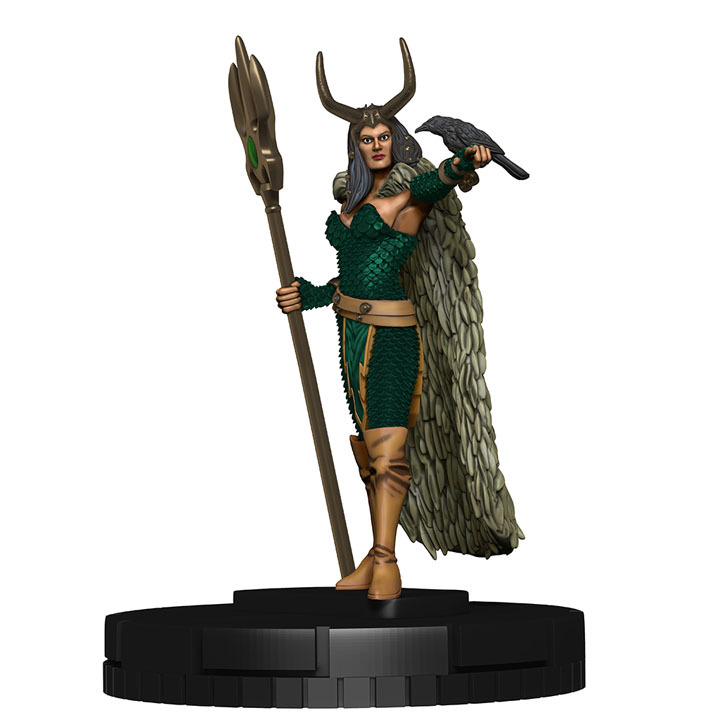 This set features many Asgardian allies like Sif, Balder, and The Warrior’s Three, in addition to many classic Thor villians including Loki, Skurge, The Enchantress, and Hela. 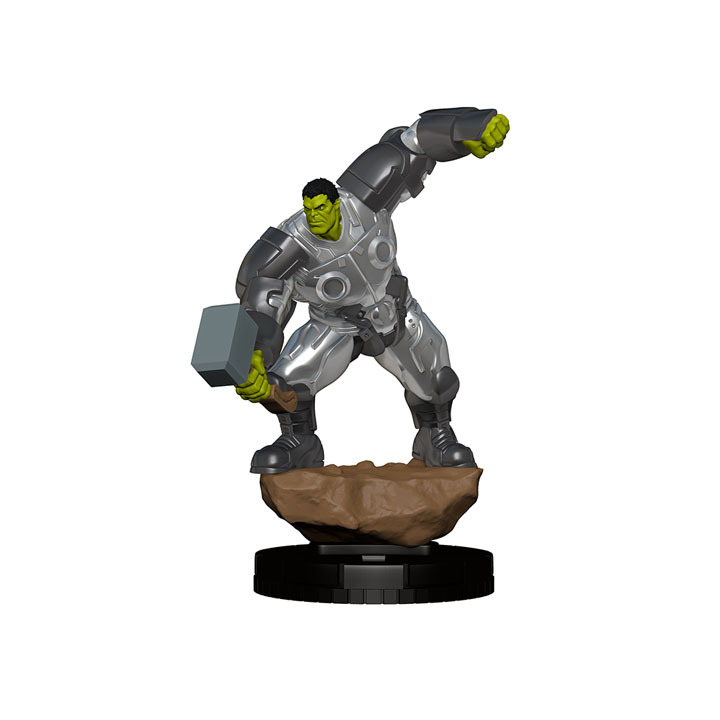 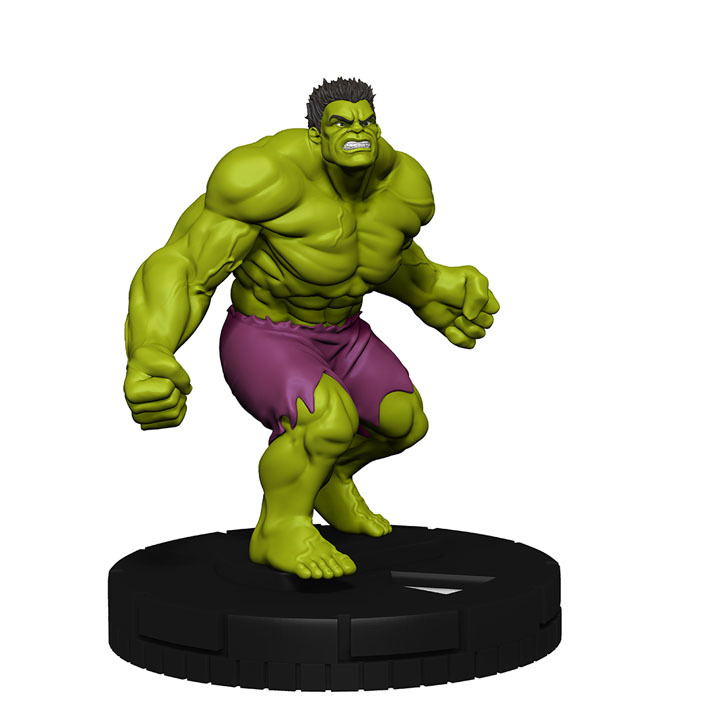 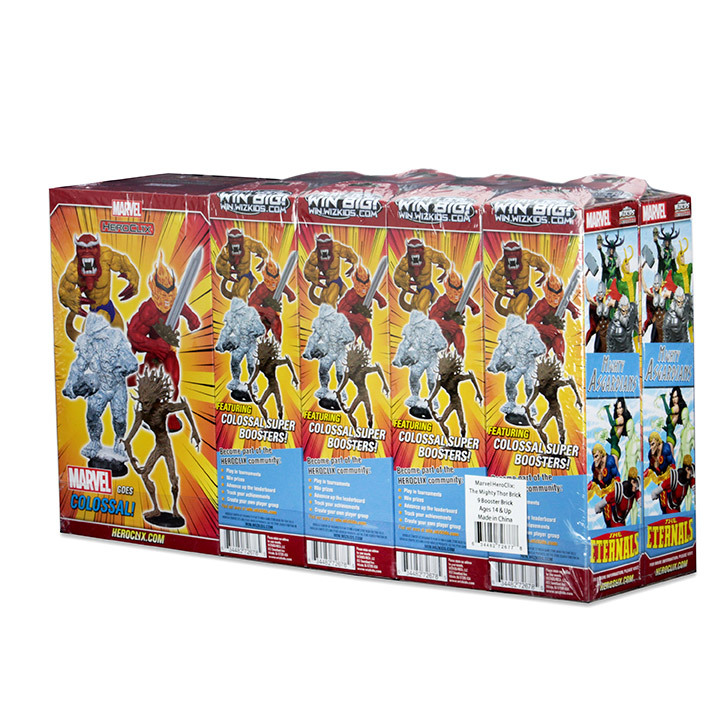 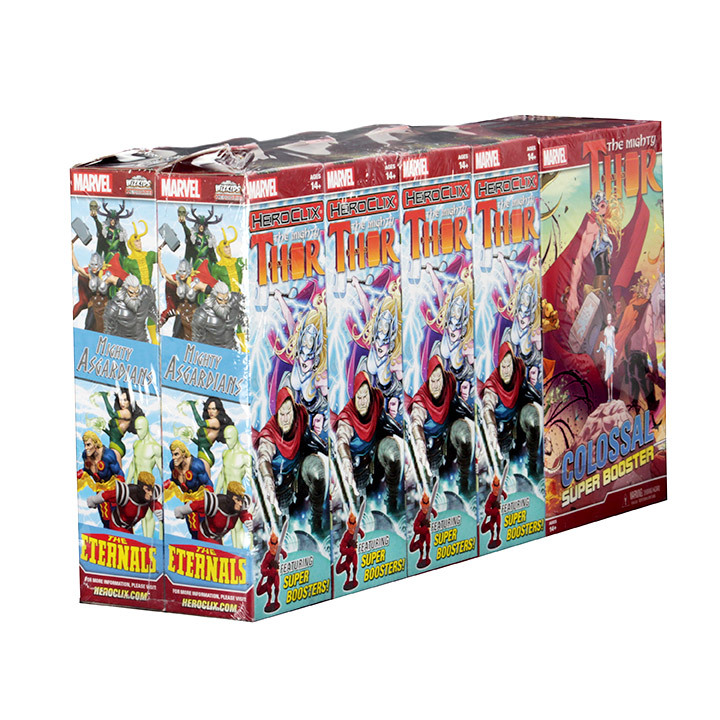 Longstanding HeroClix favorite The Incredible Hulk returns, alongside Throg and Thorbuster Iron Man.And with the return of Colossal Super Boosters in this set, look for large friends like Groot, and monstrous foes like Surtur to command the battlefield. 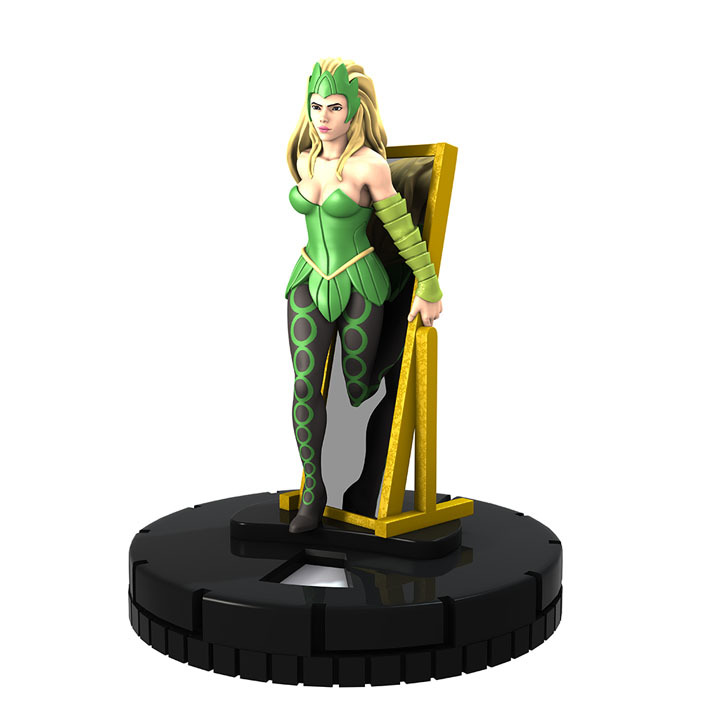 Build new teams with sub-themes including Asgardians, Avengers, Eternals, Serpent Society, and Masters of Evil. 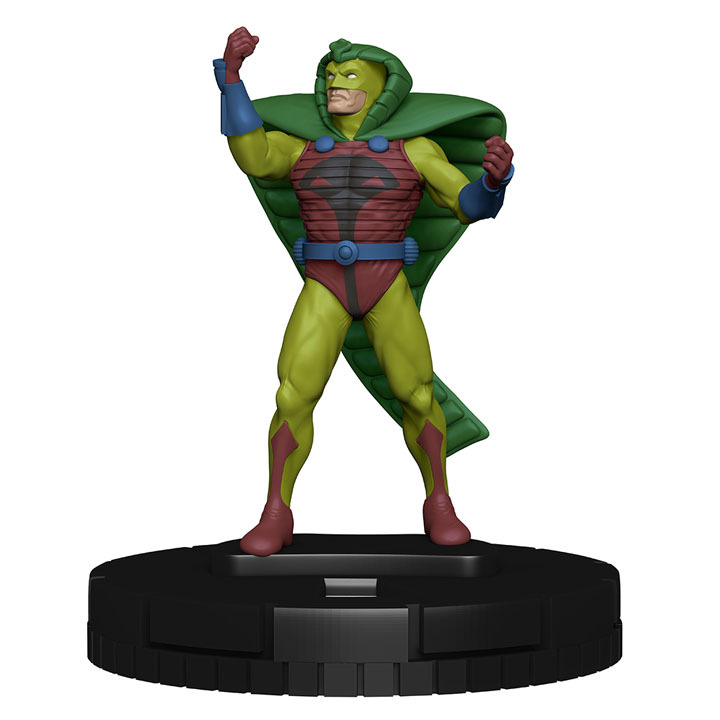 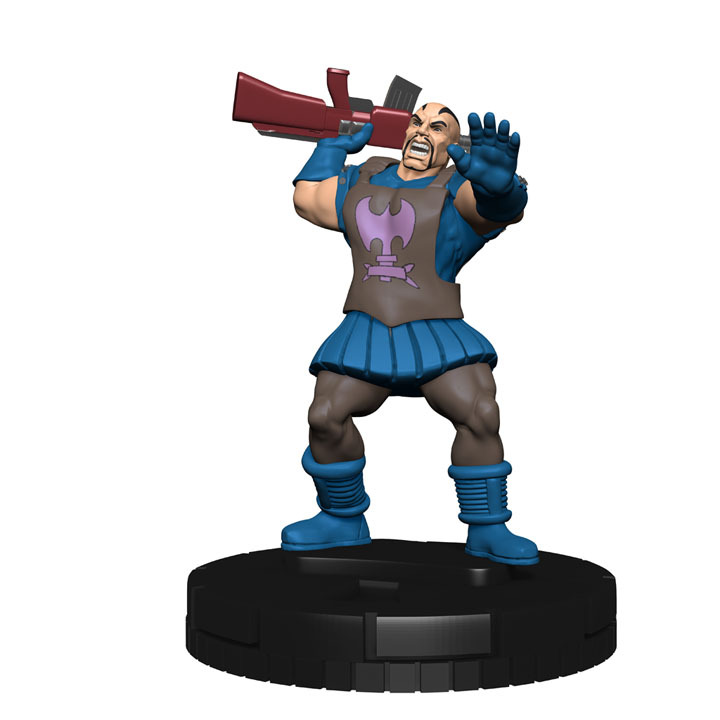 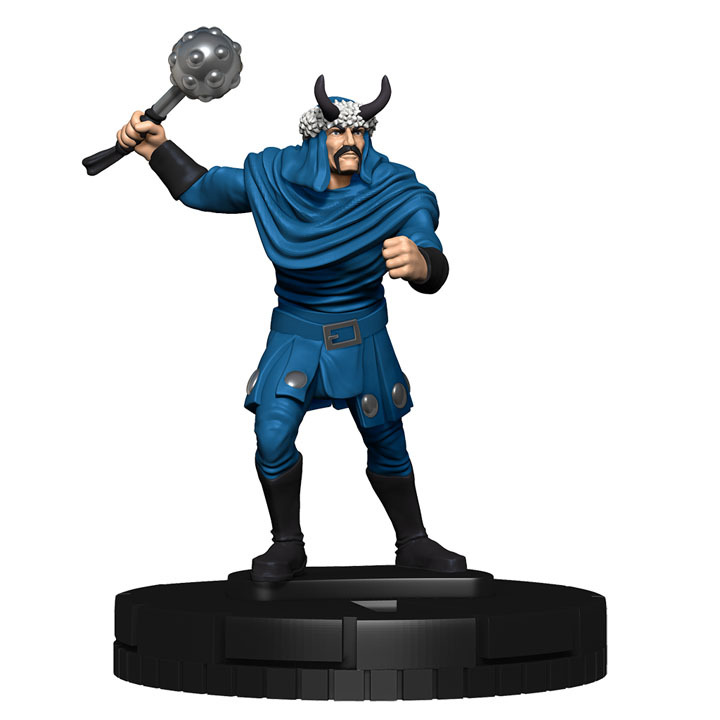 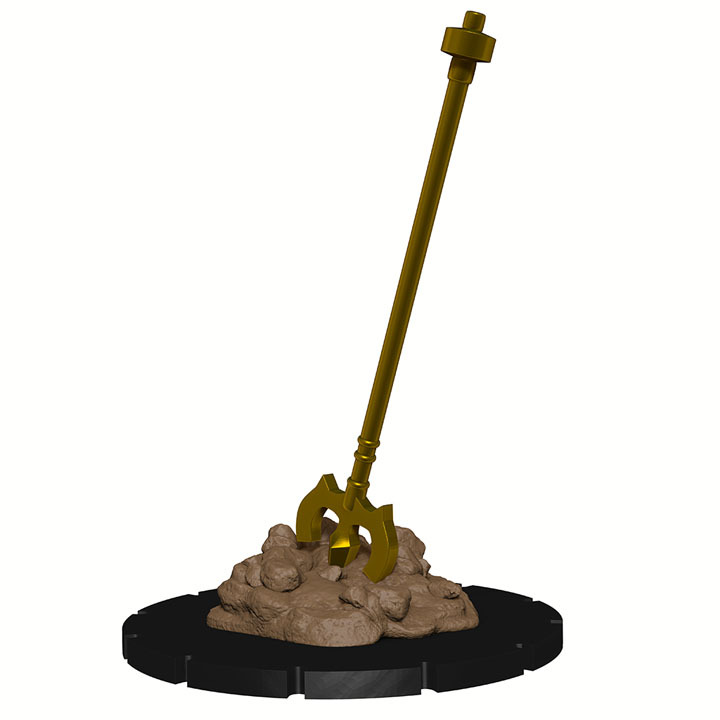 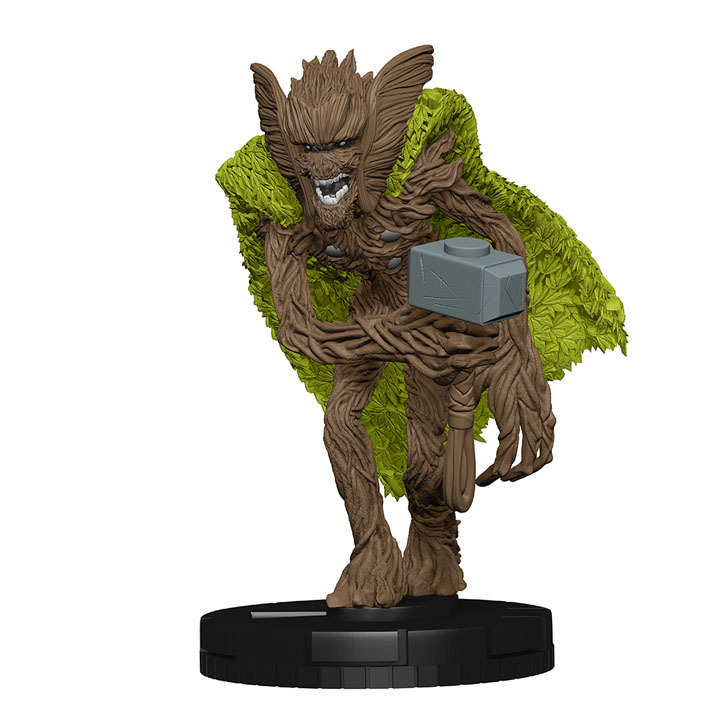 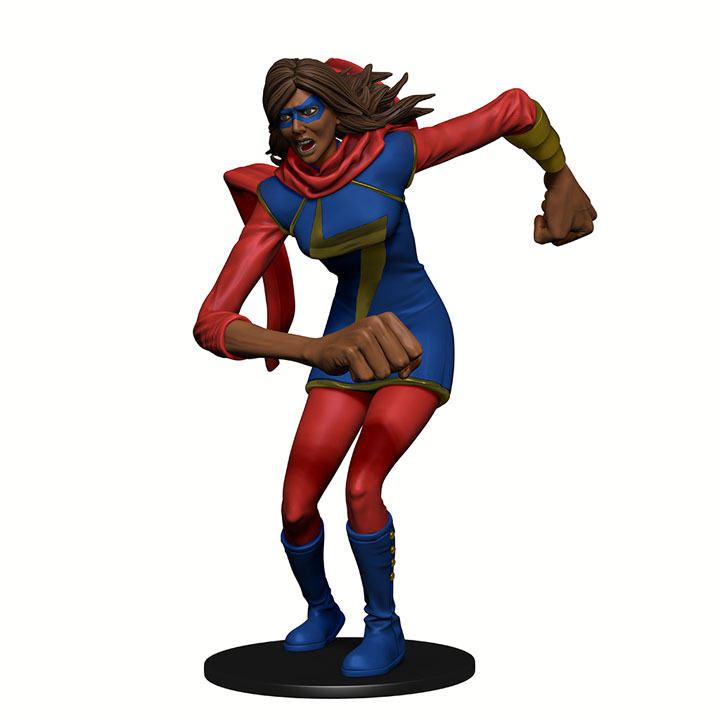 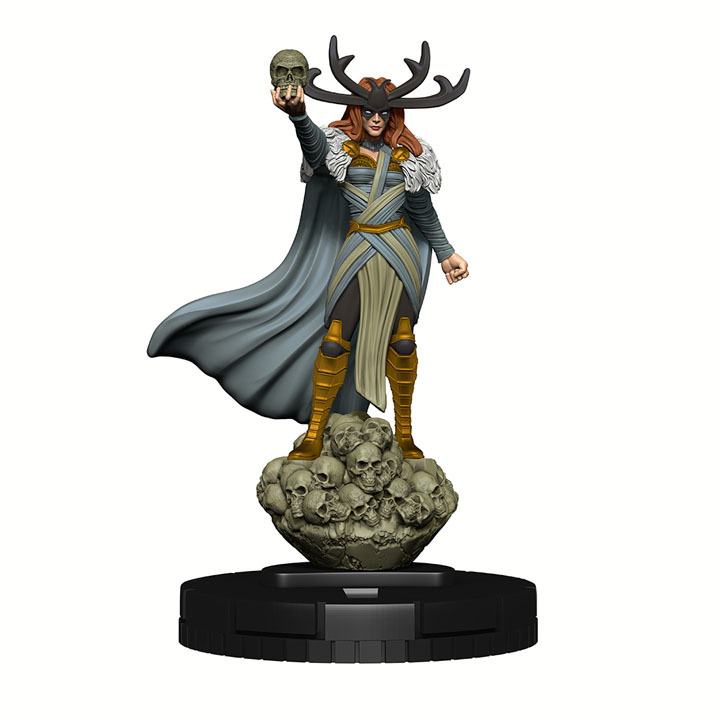 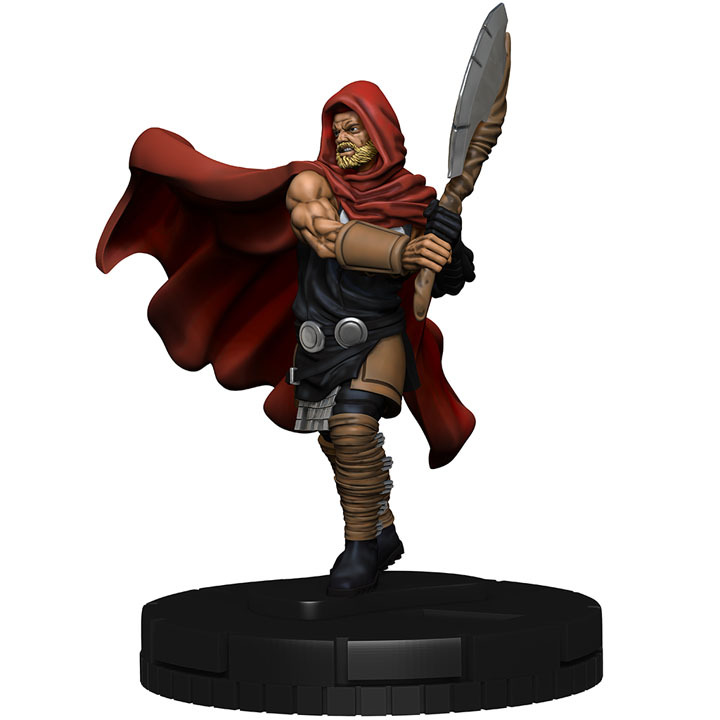 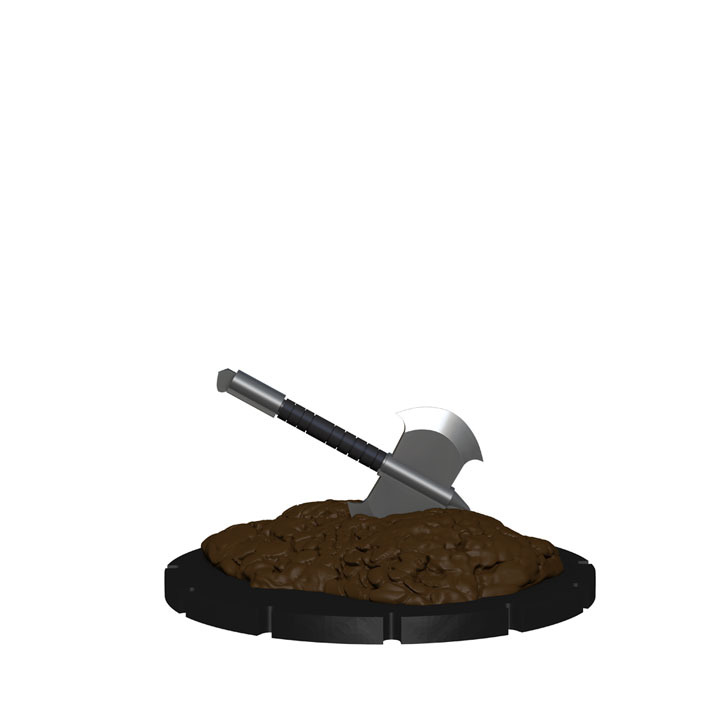 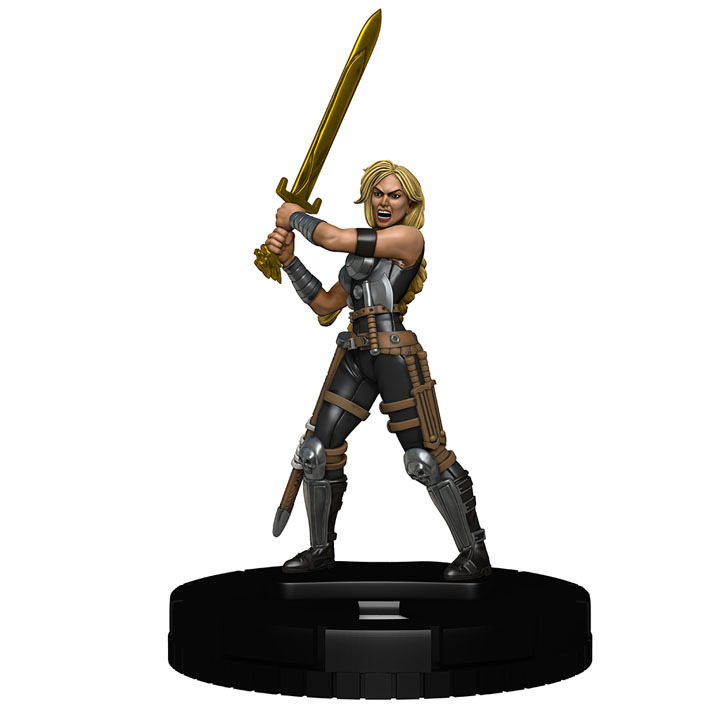 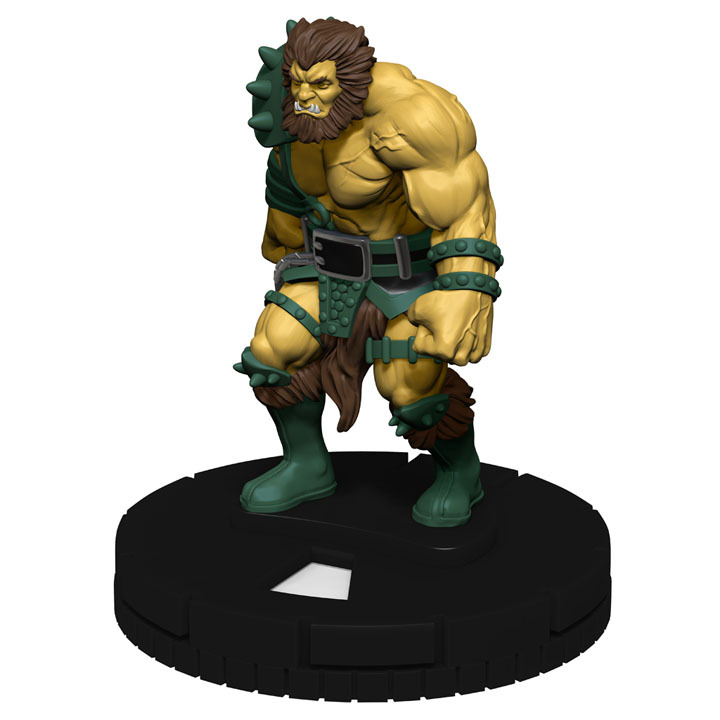 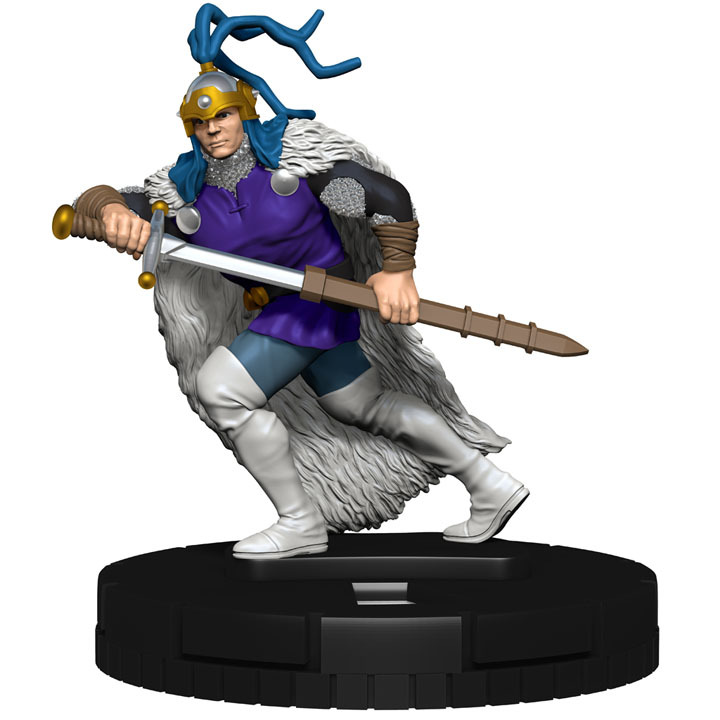 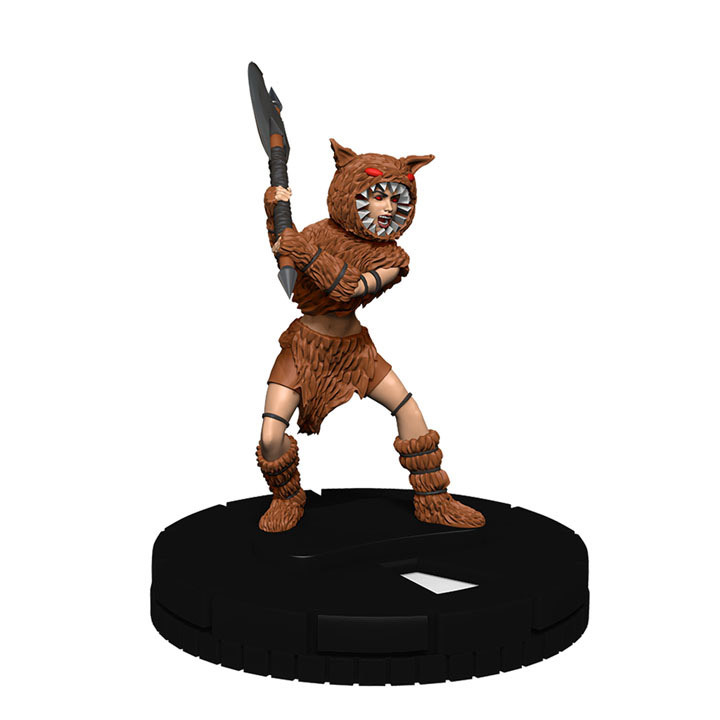 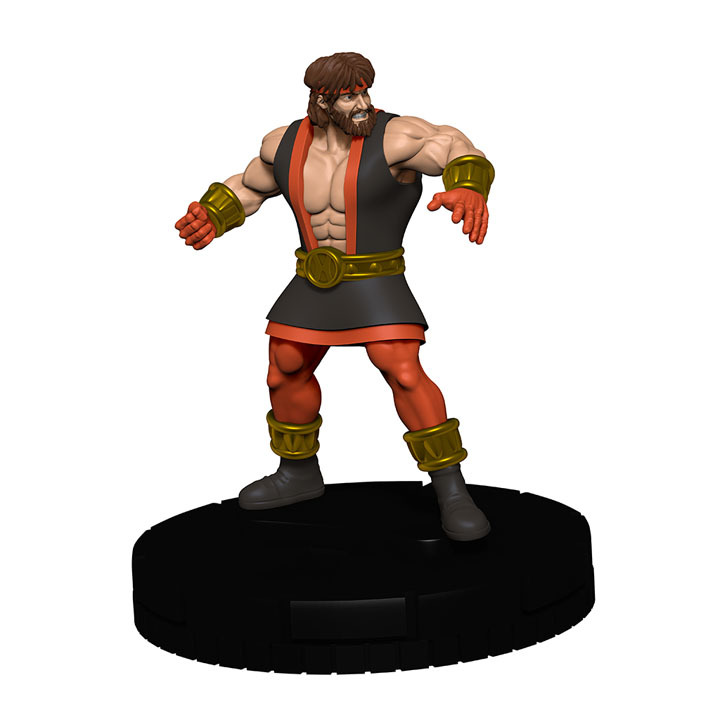 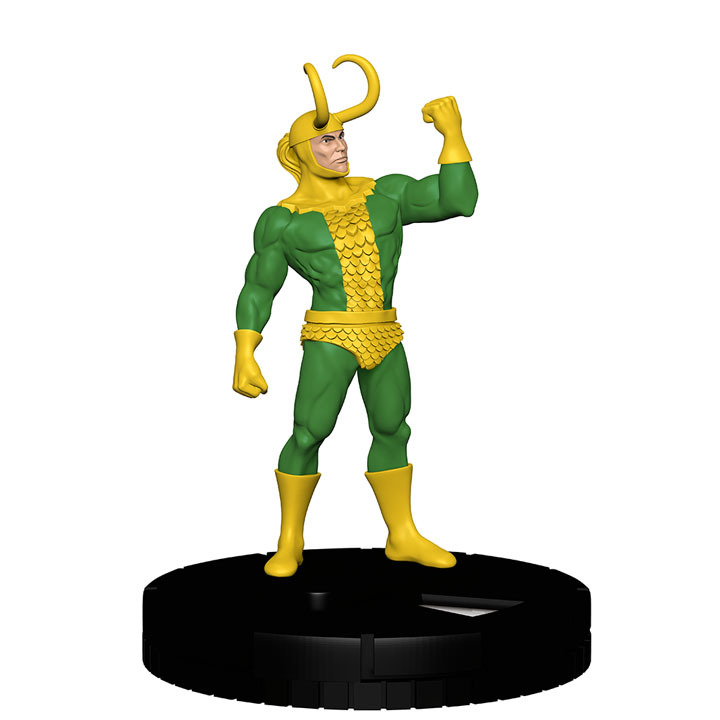 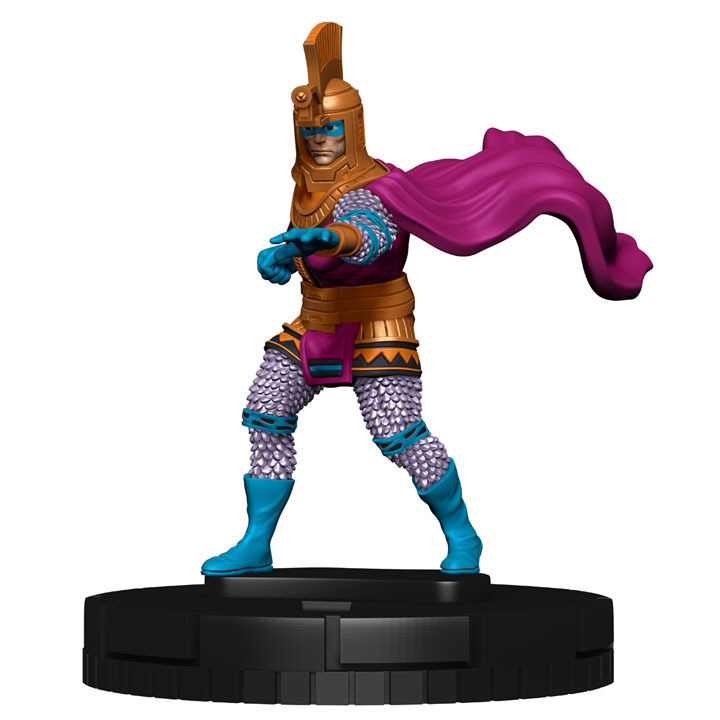 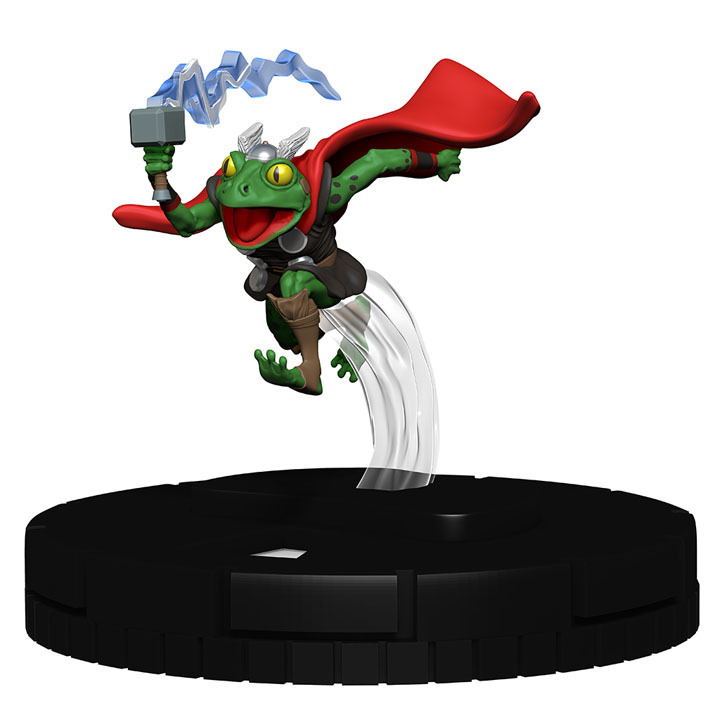 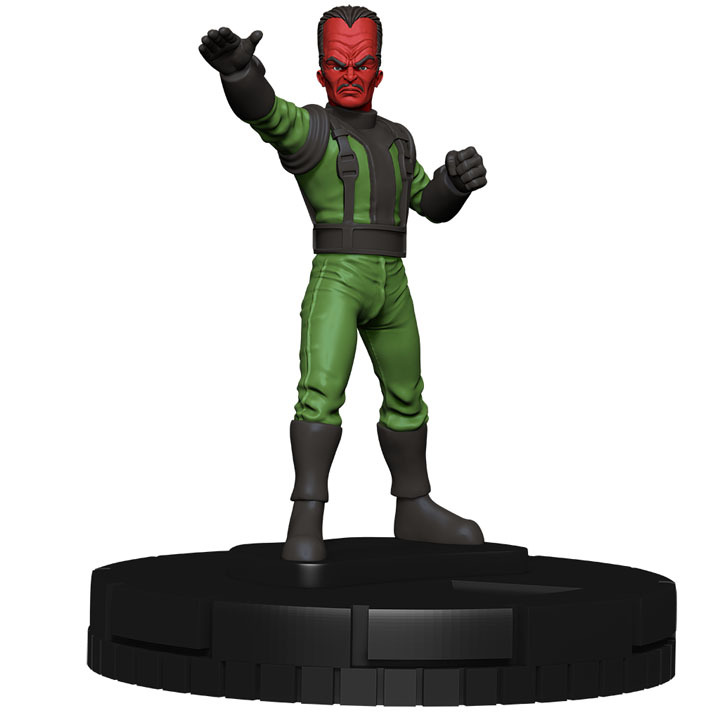 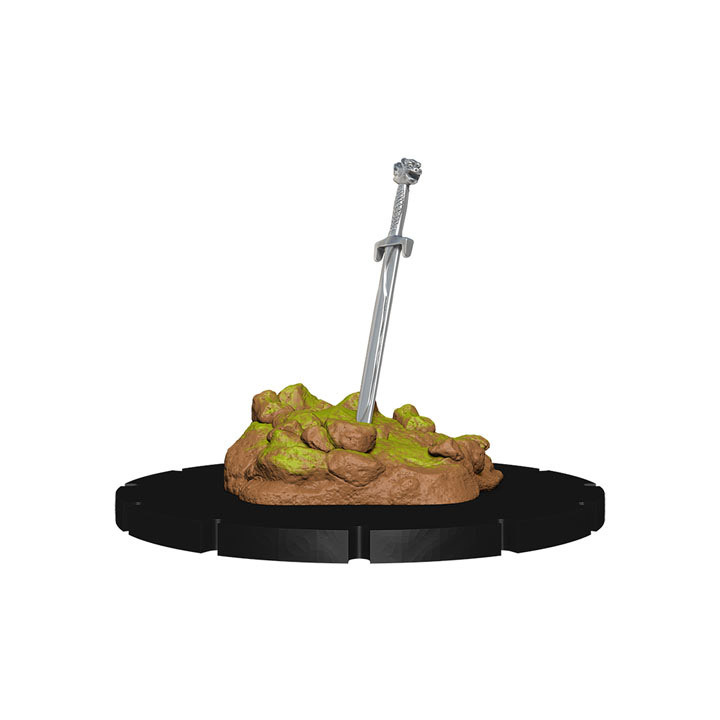 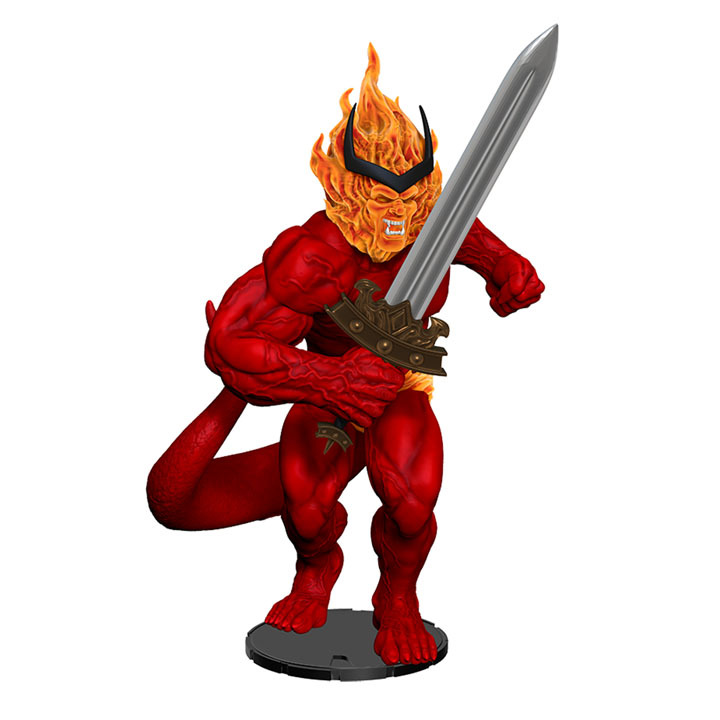 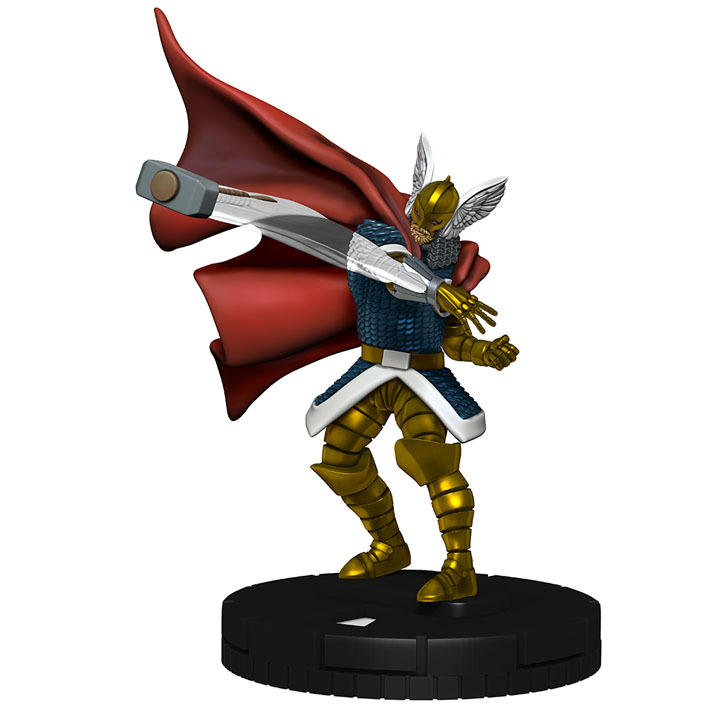 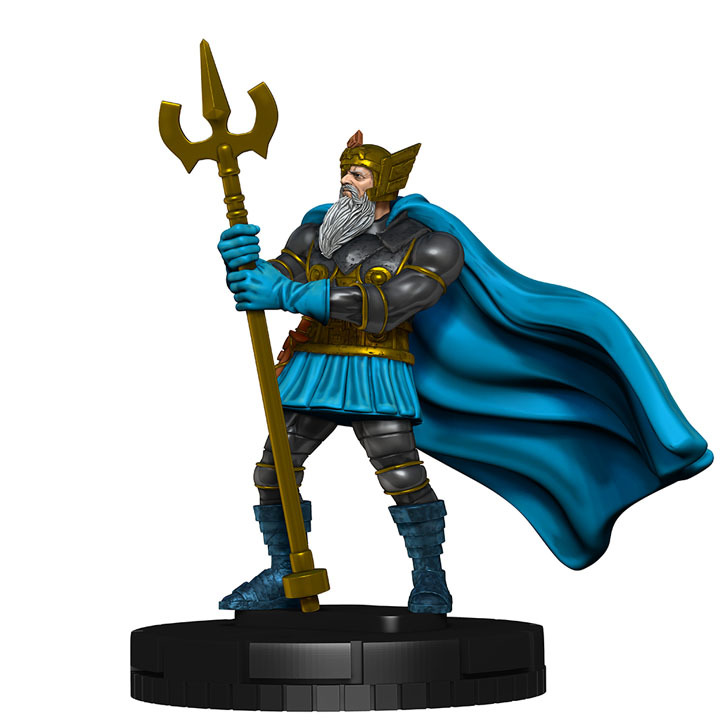 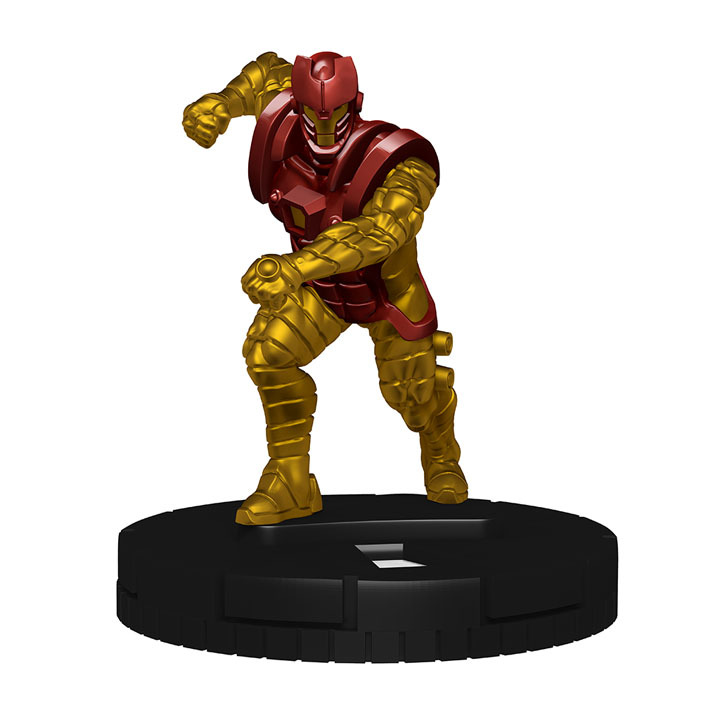 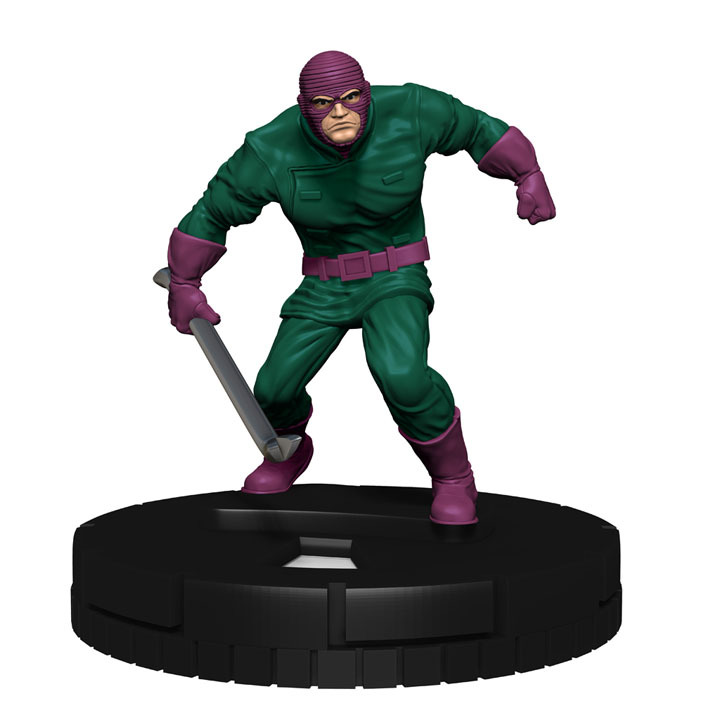 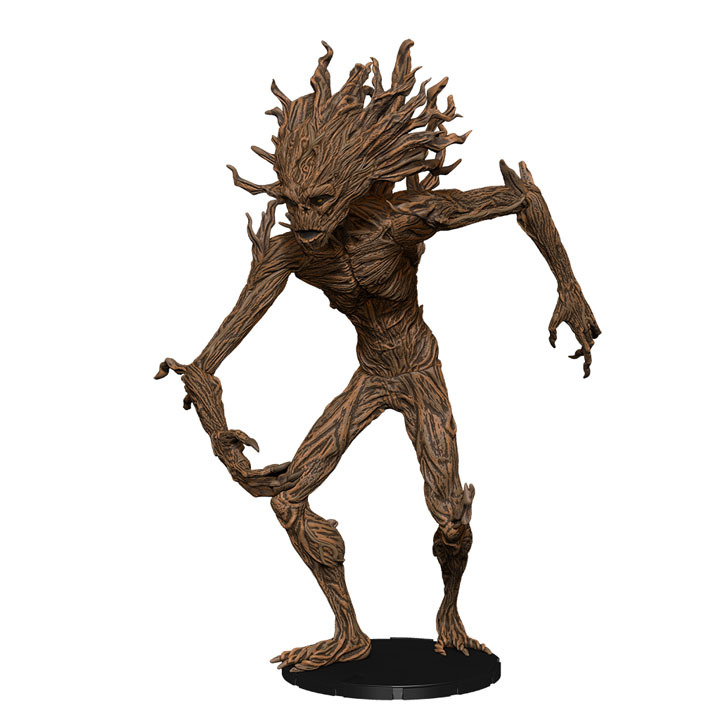 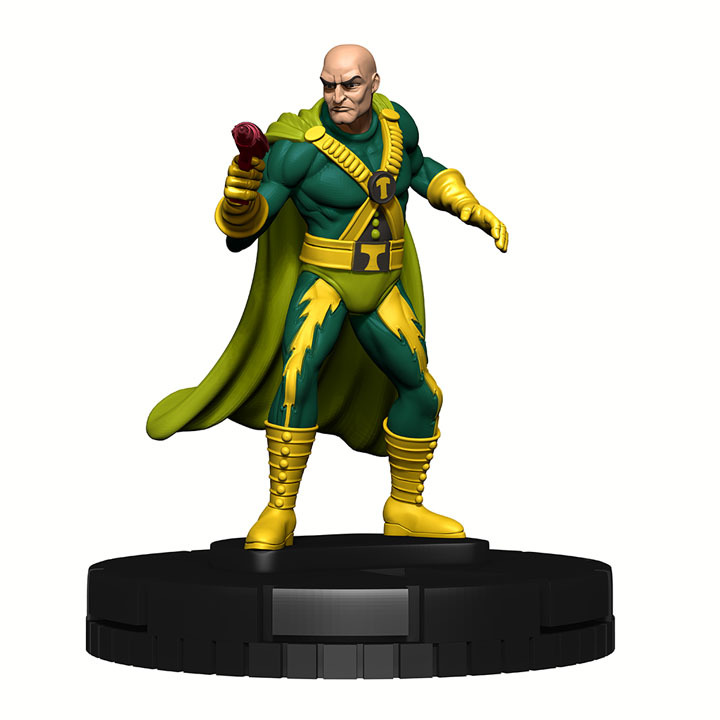 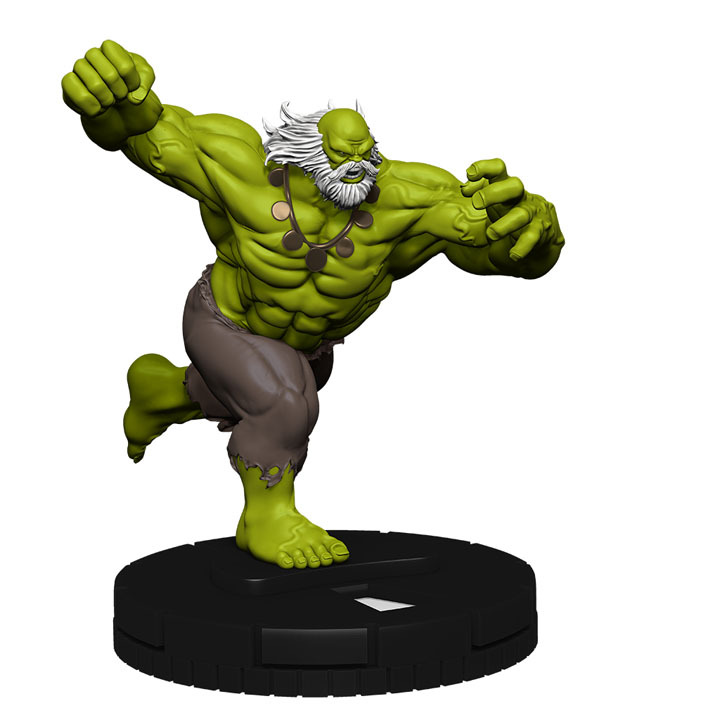 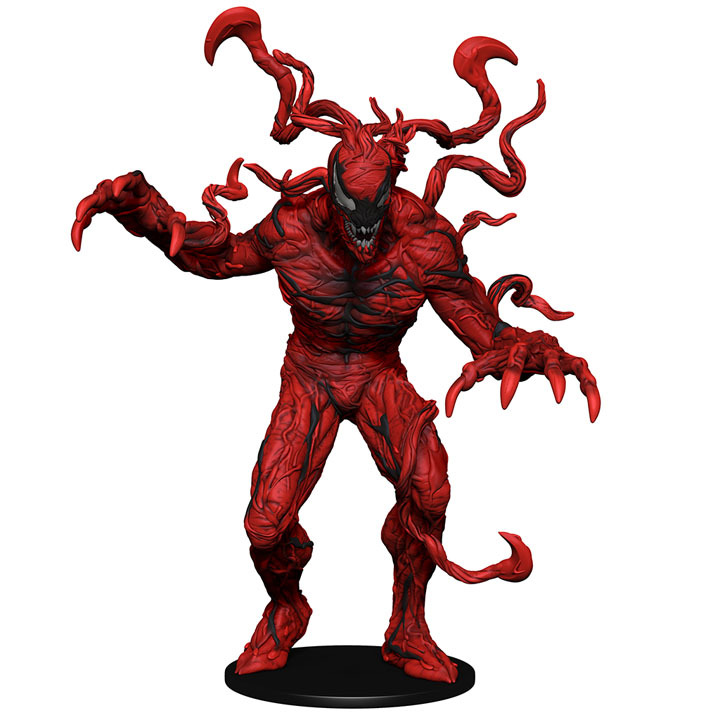 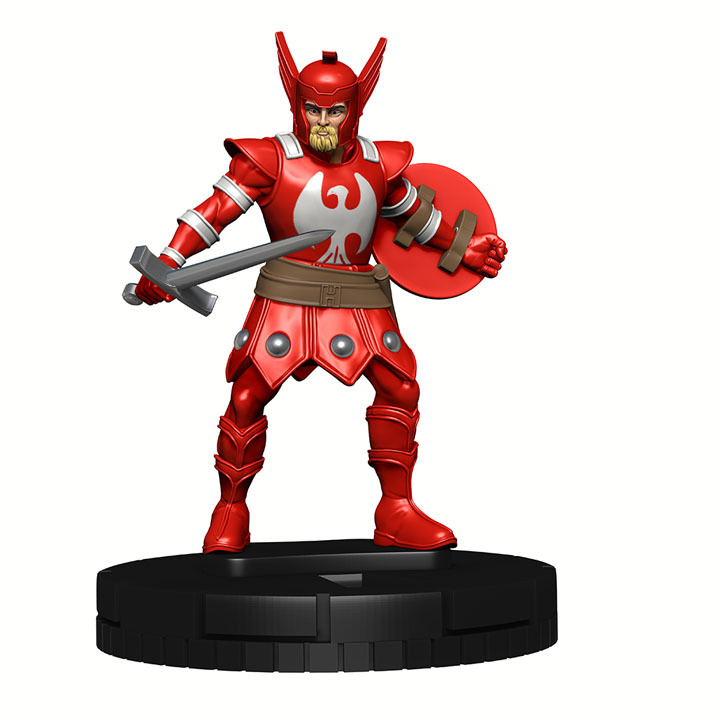 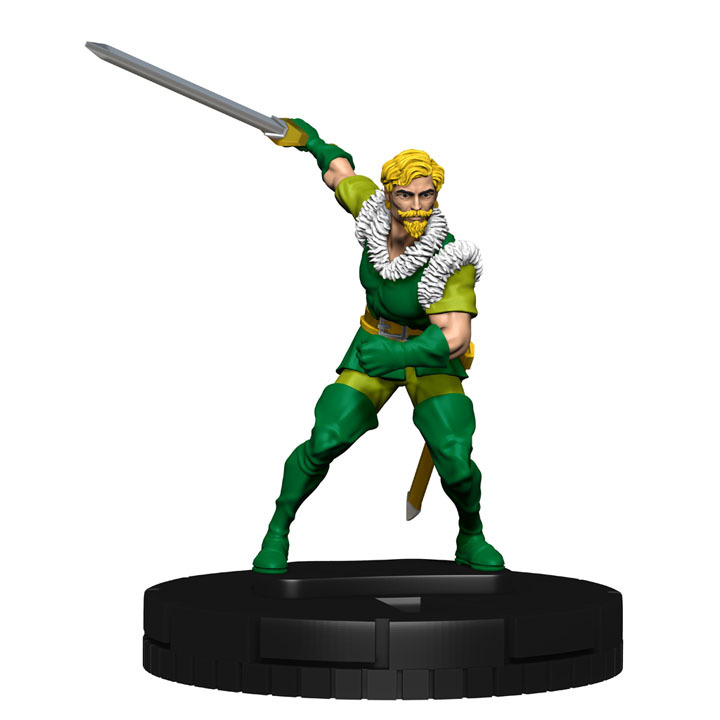 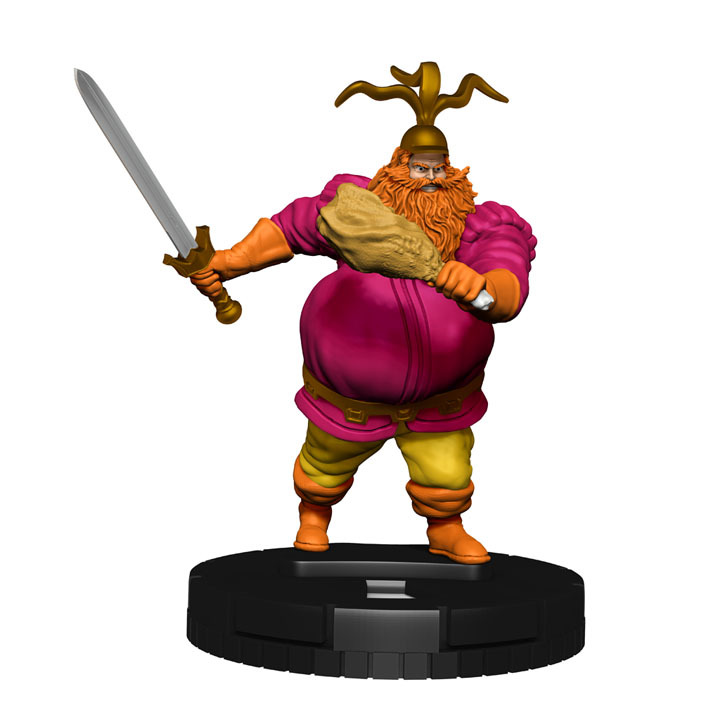 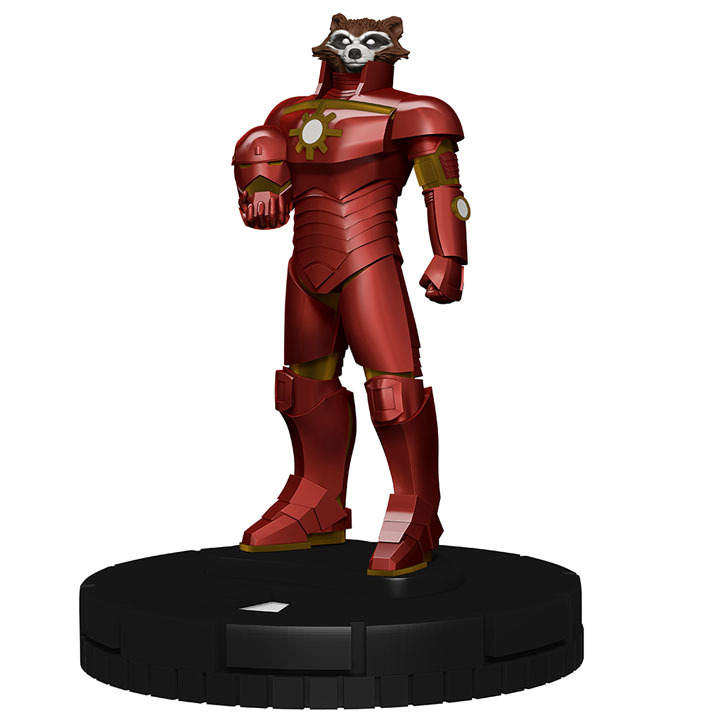 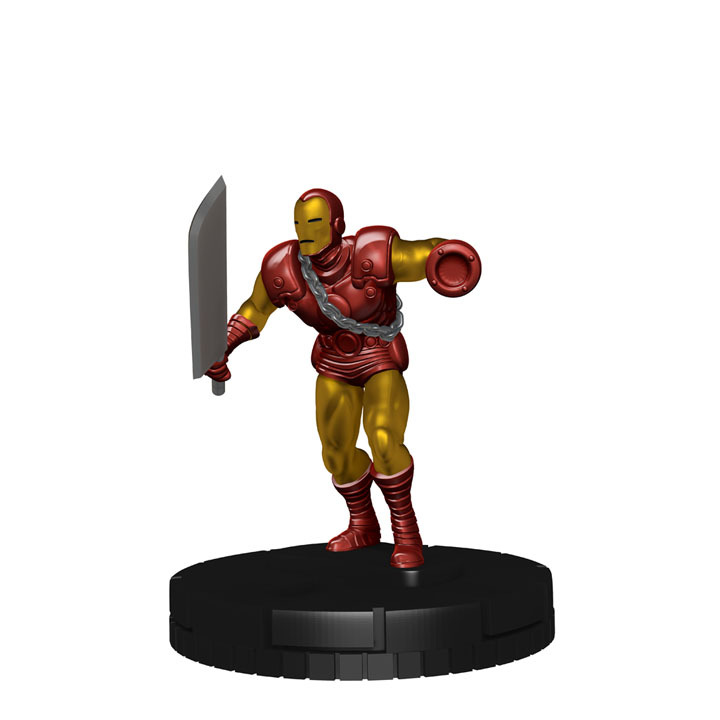 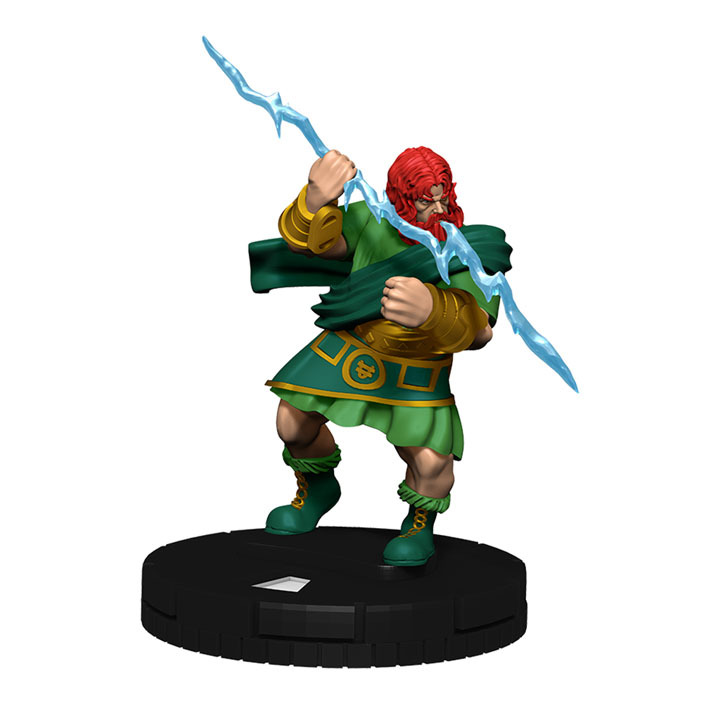 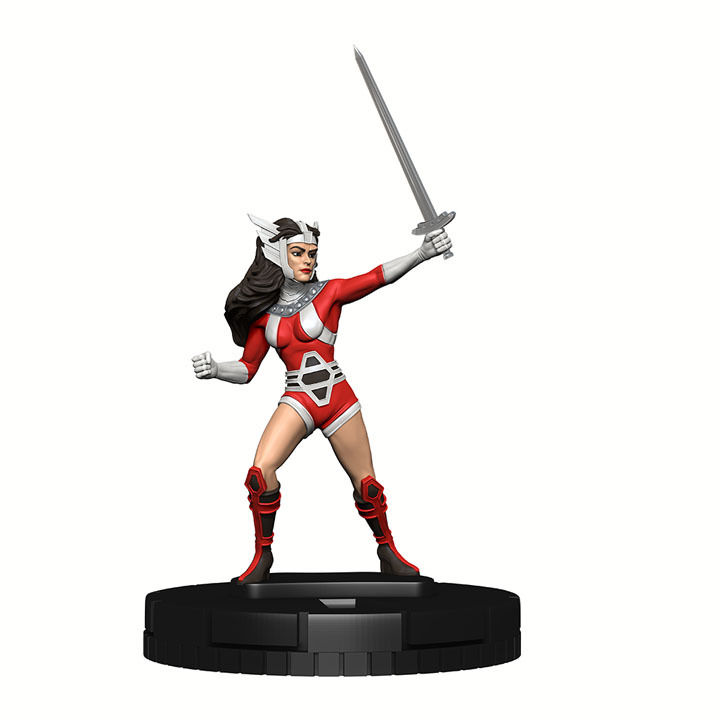 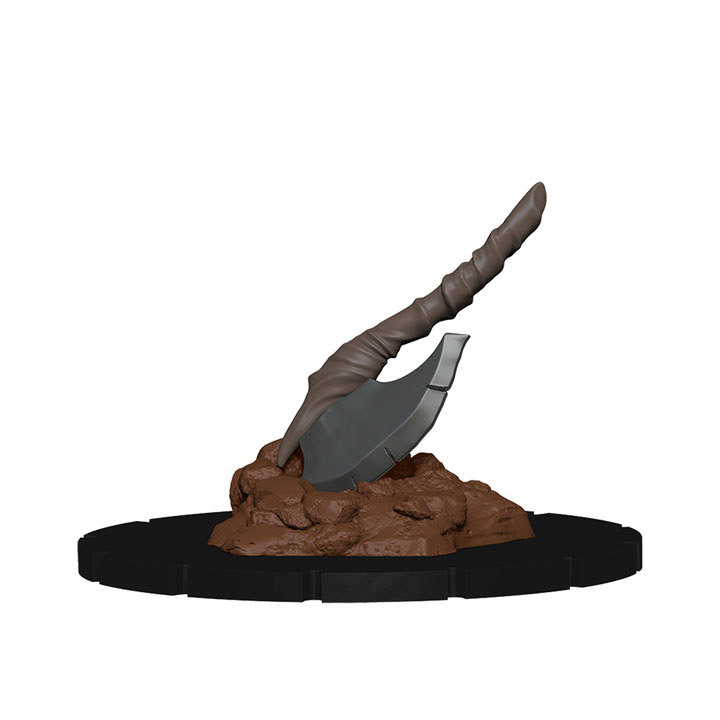 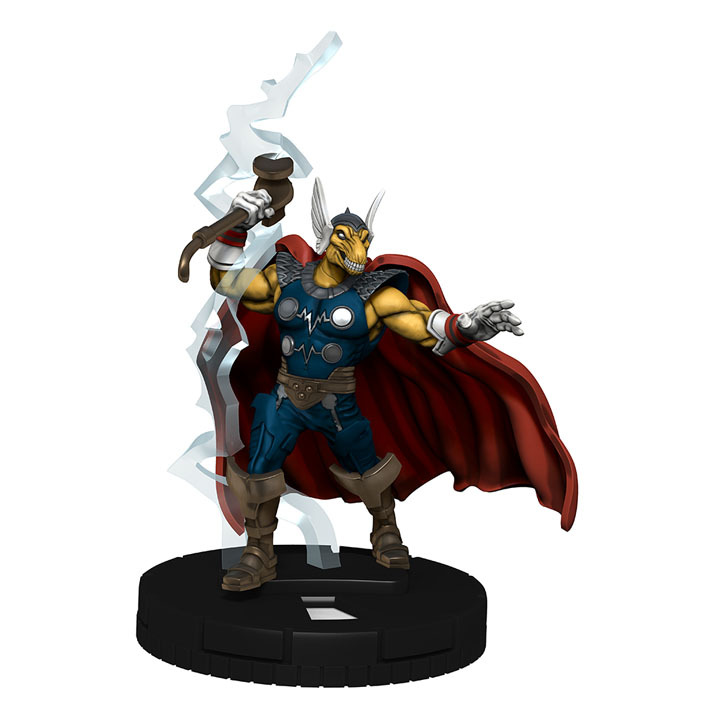 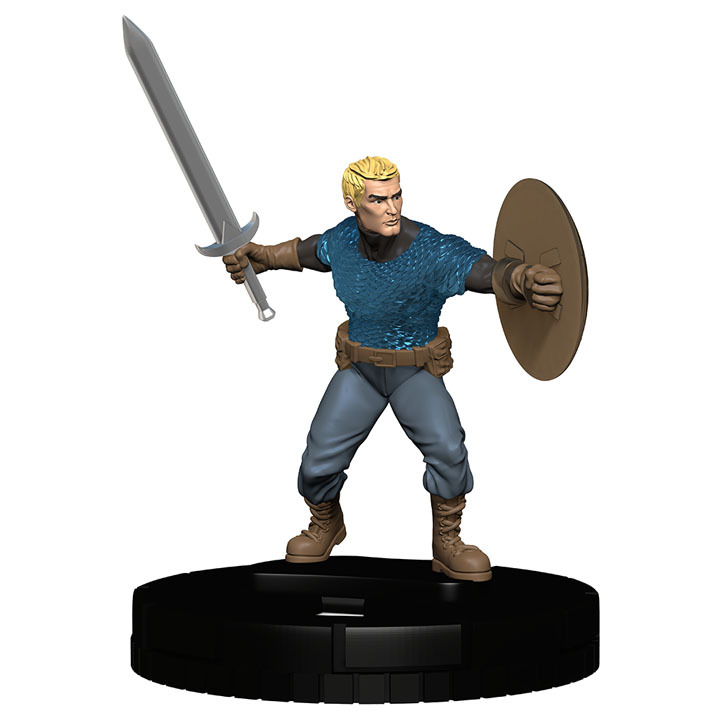 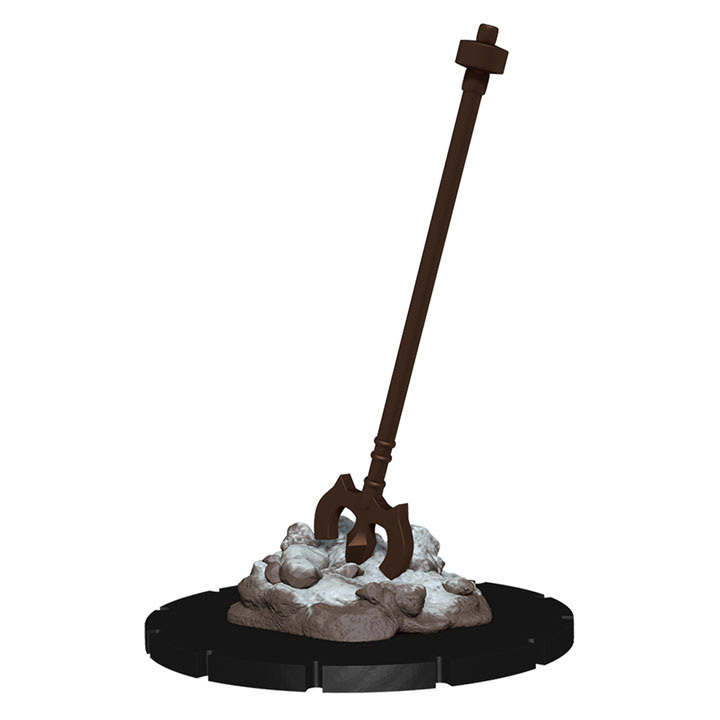 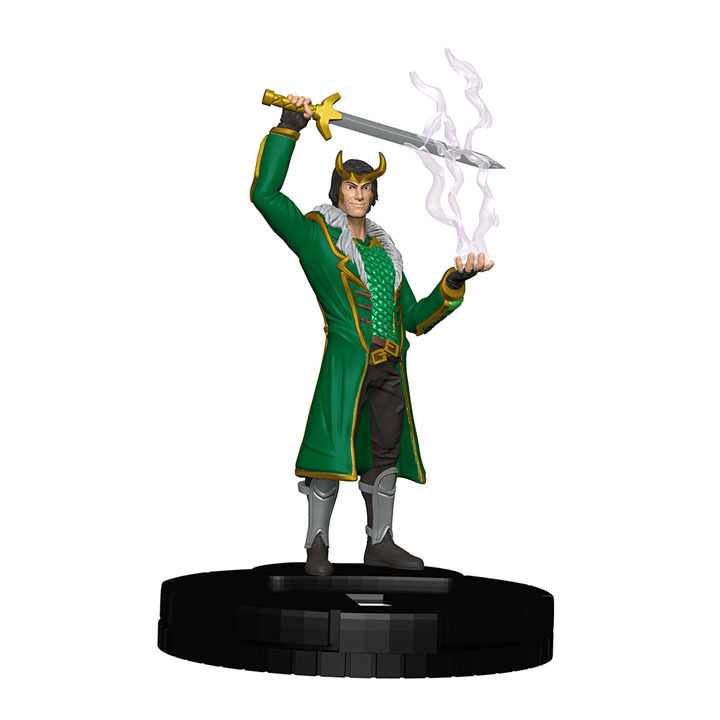 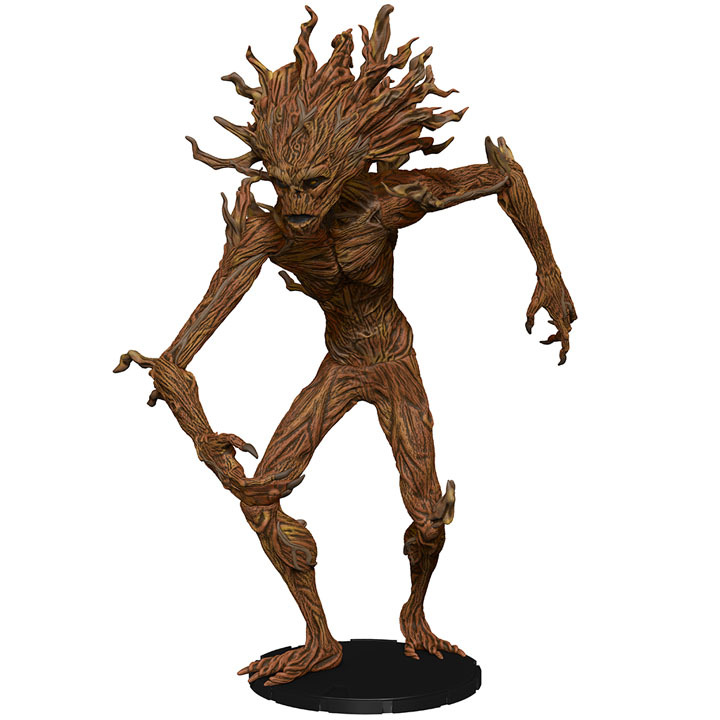 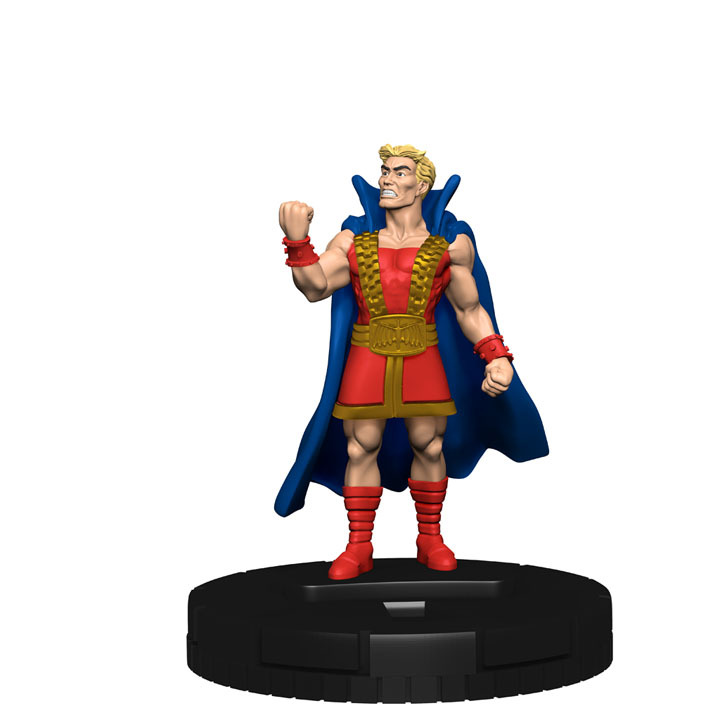 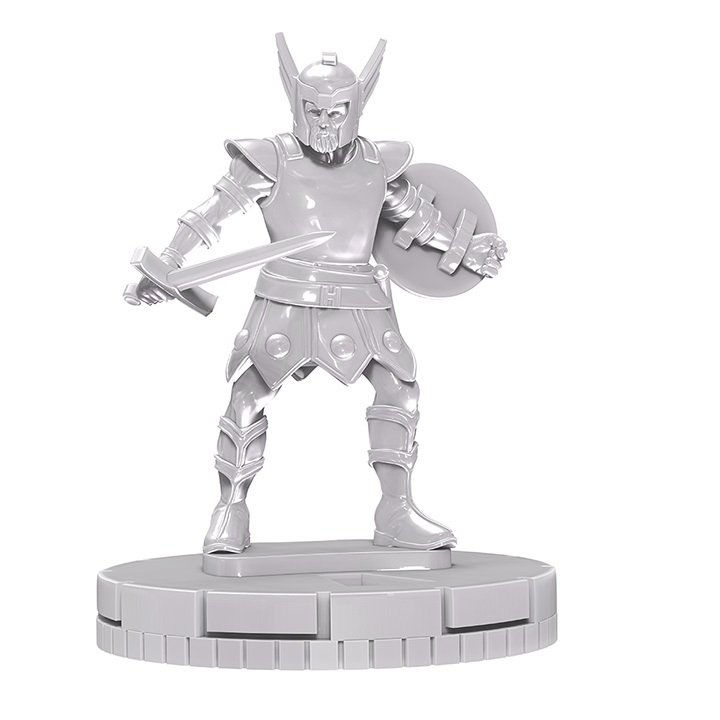 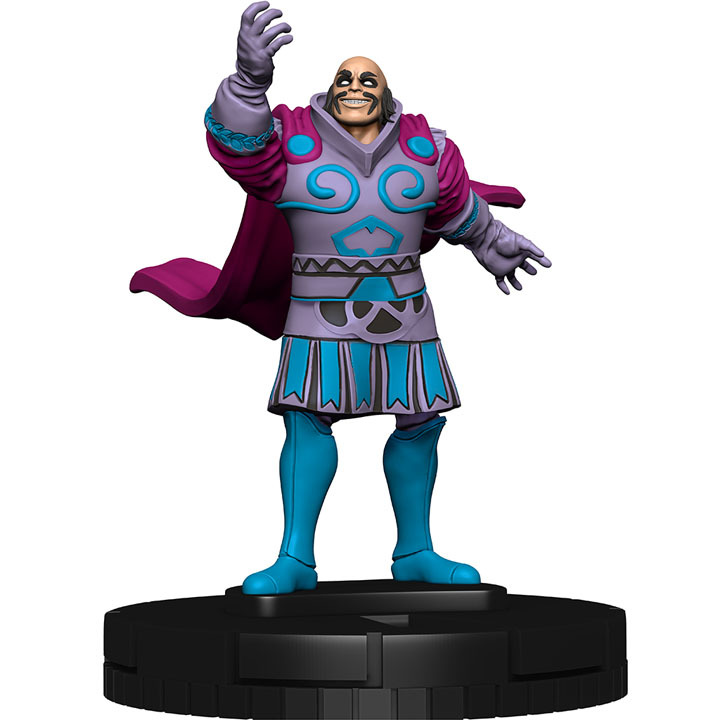 For the first time ever in HeroClix – Asgardians and their enemies will have the Legendary Wielder trait, allowing them to utilize their signature weapons and artifacts. 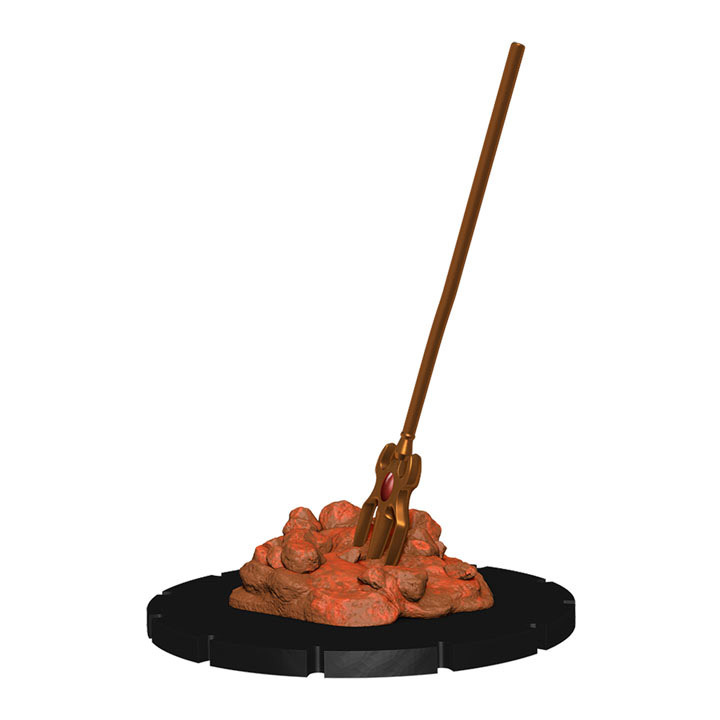 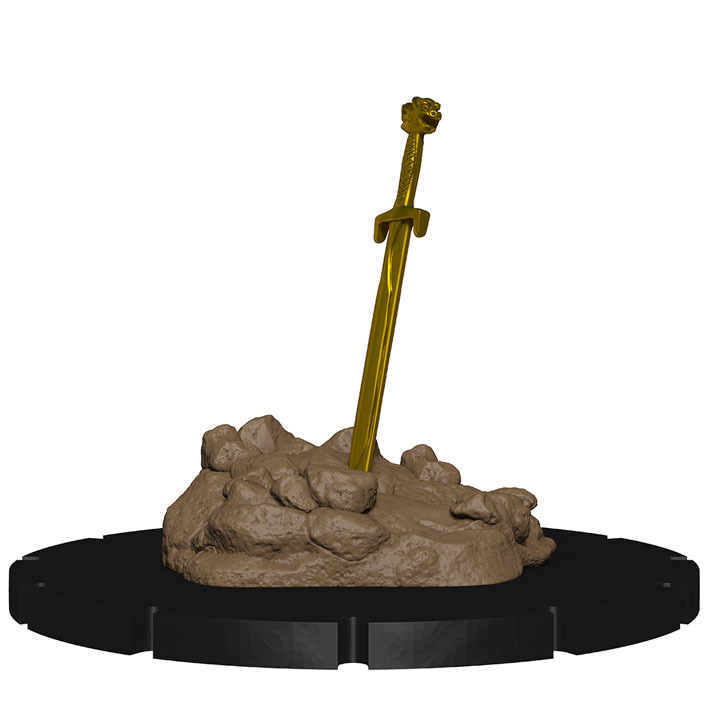 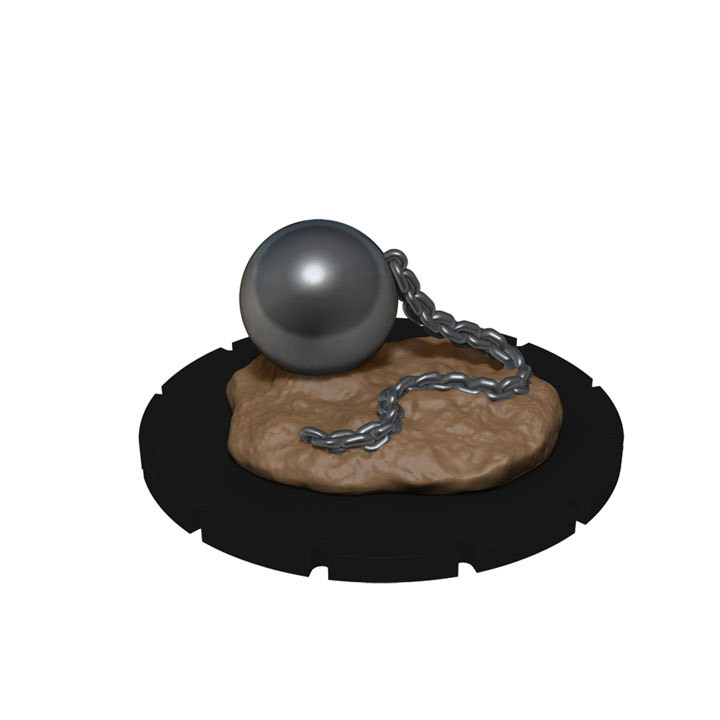 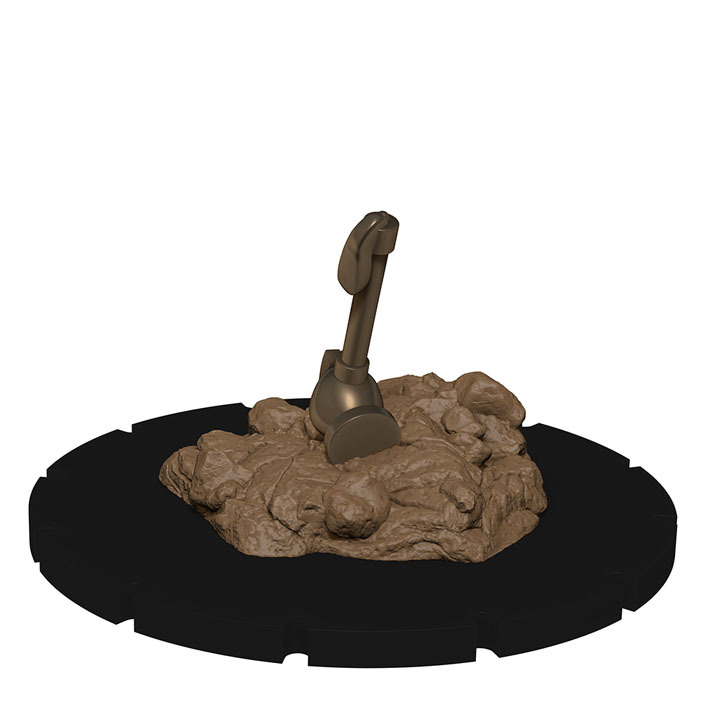 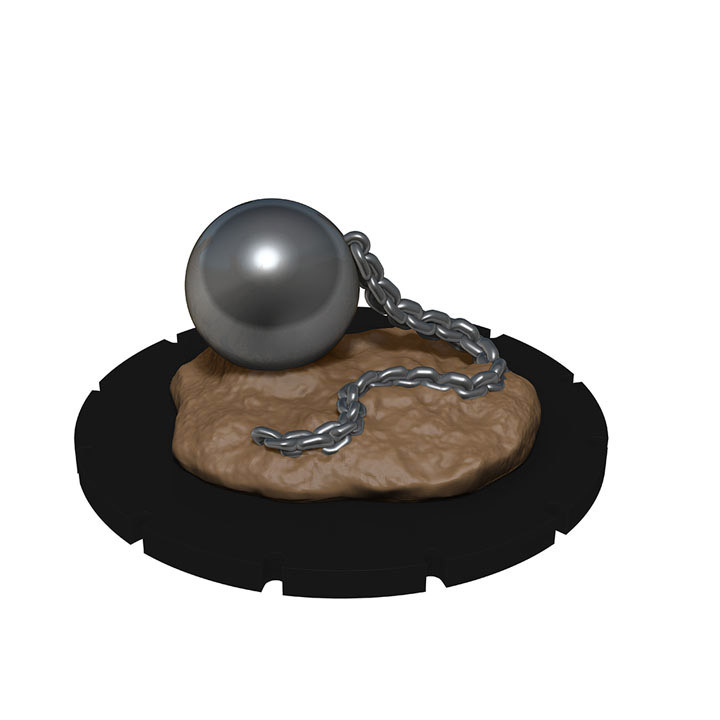 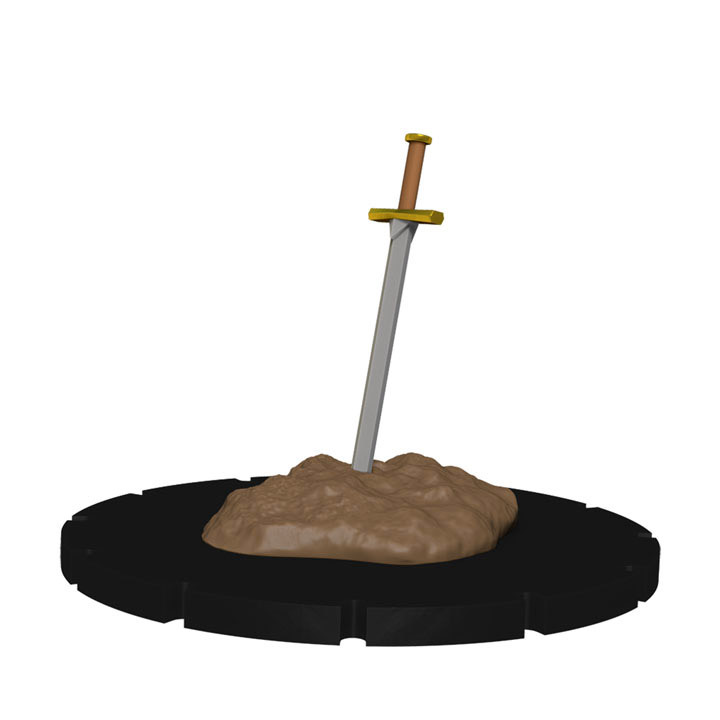 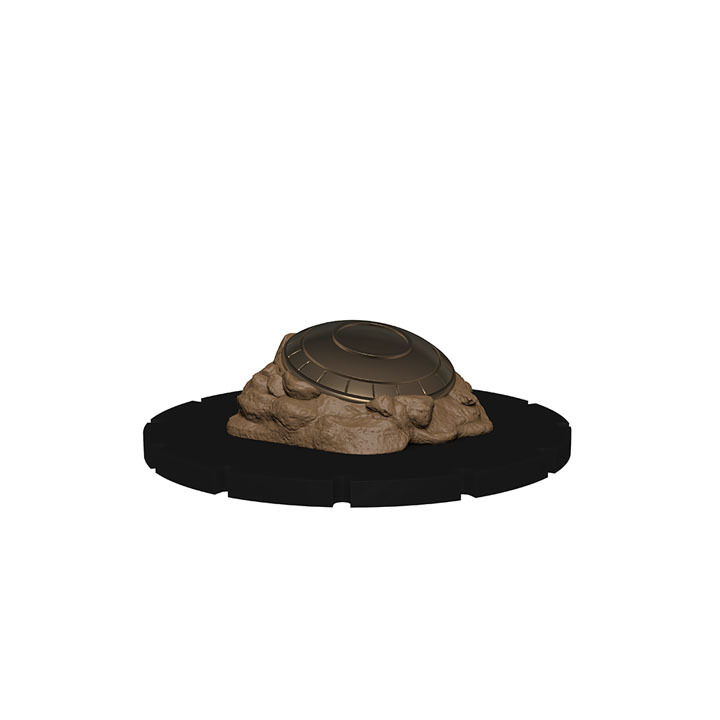 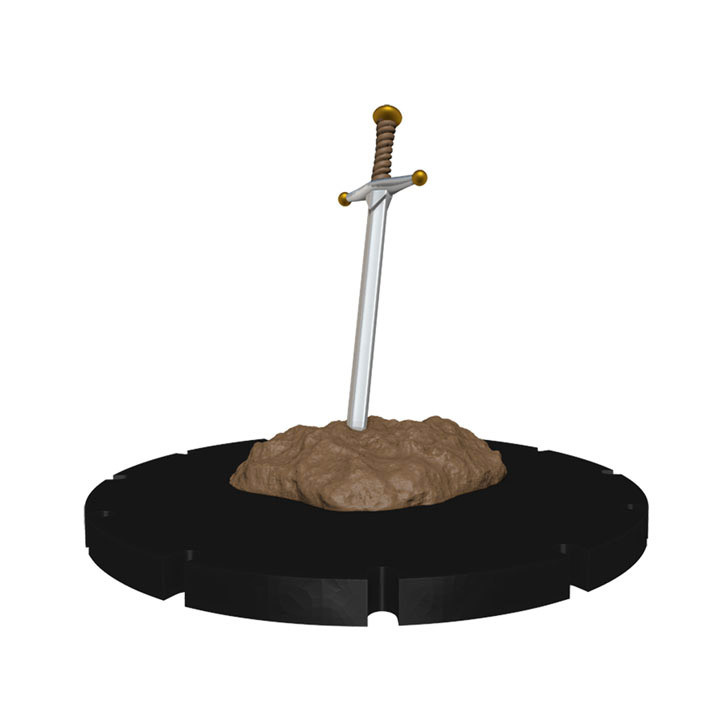 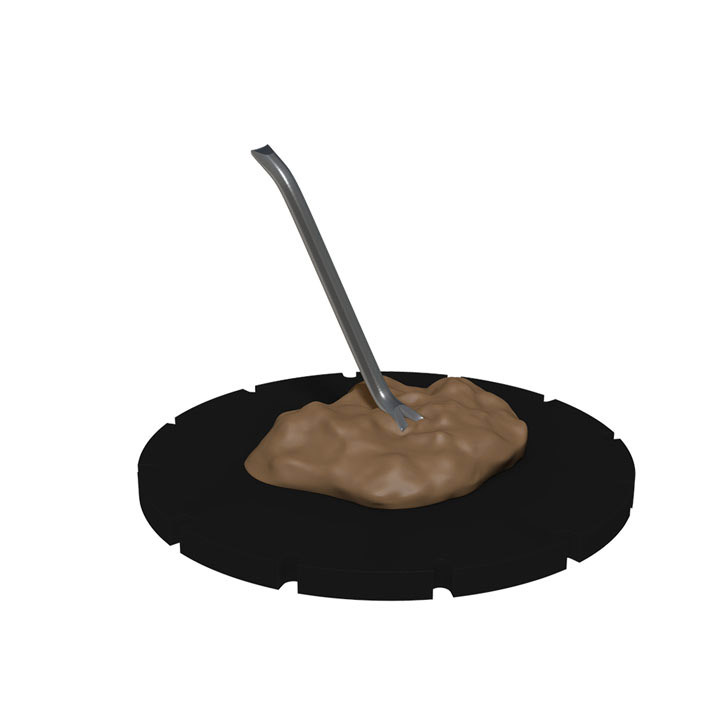 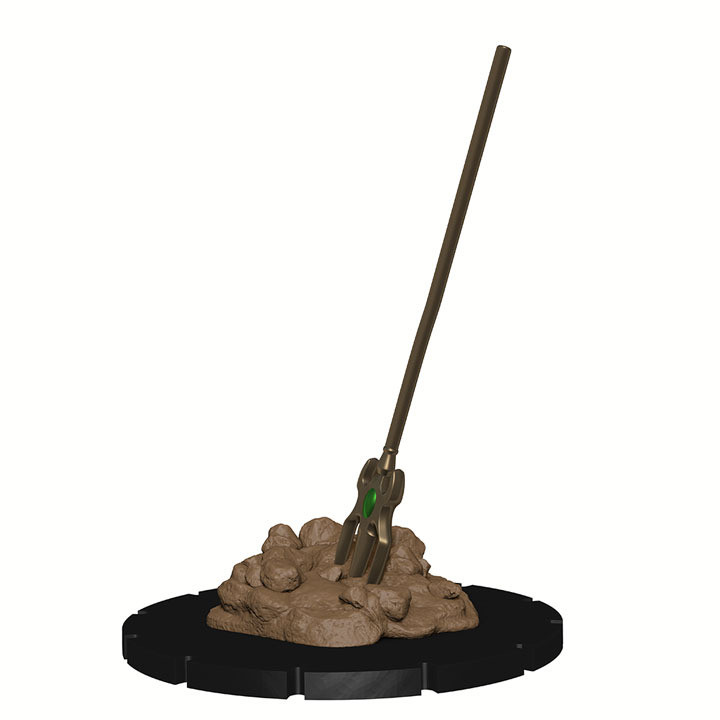 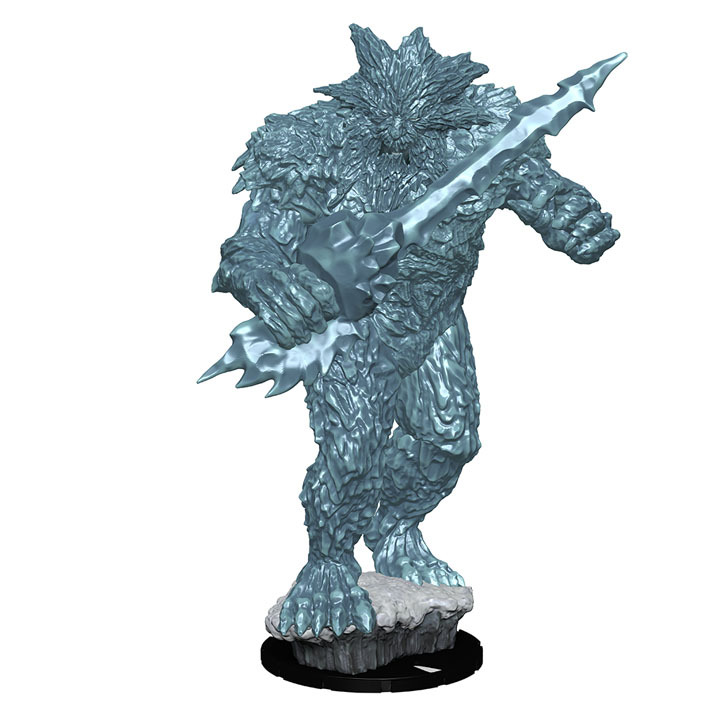 If they fall in battle, beware your opponent equipping the weapon that you brought to the game! 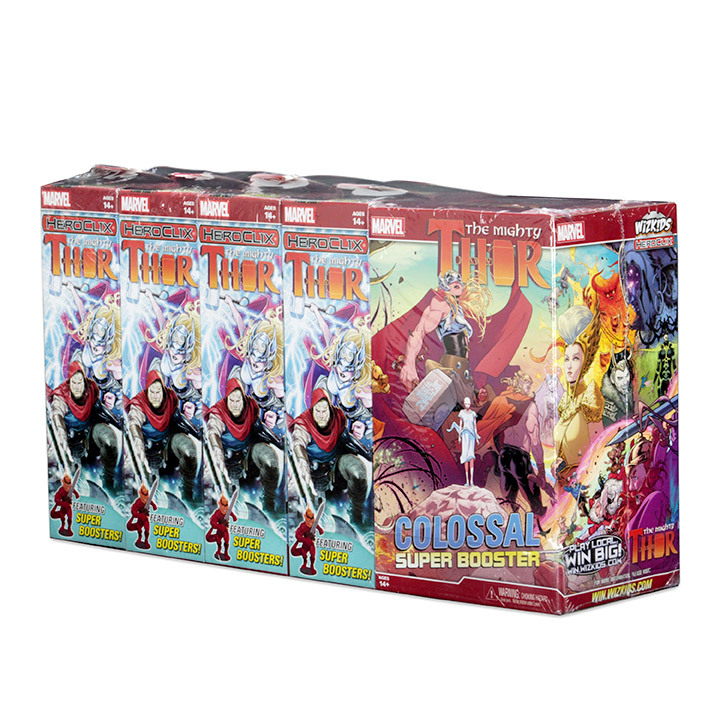 Each booster brick contains 8 standard 5-figure boosters as well as 1 Super booster. 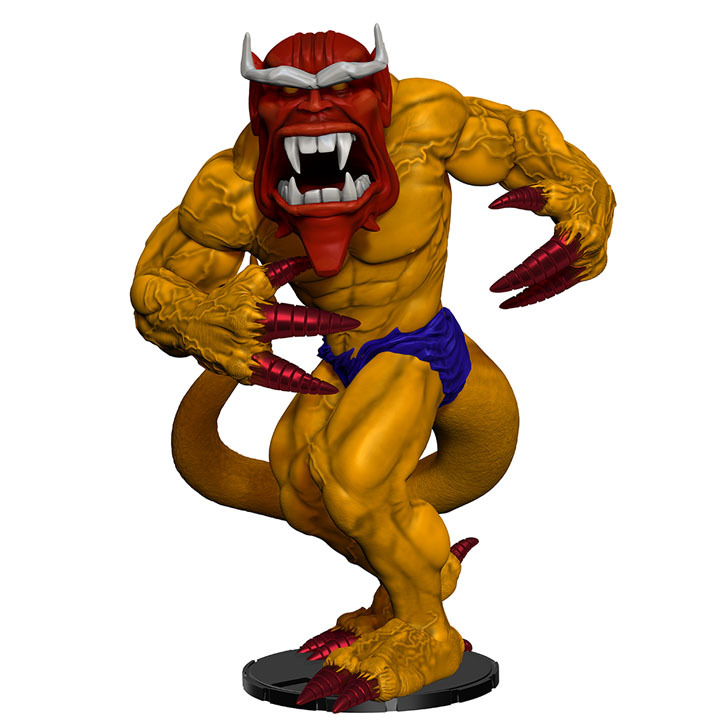 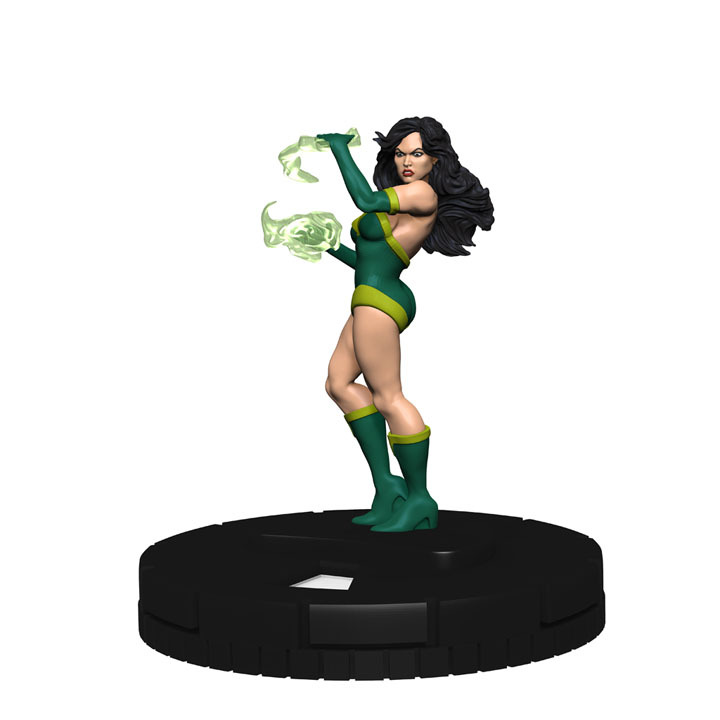 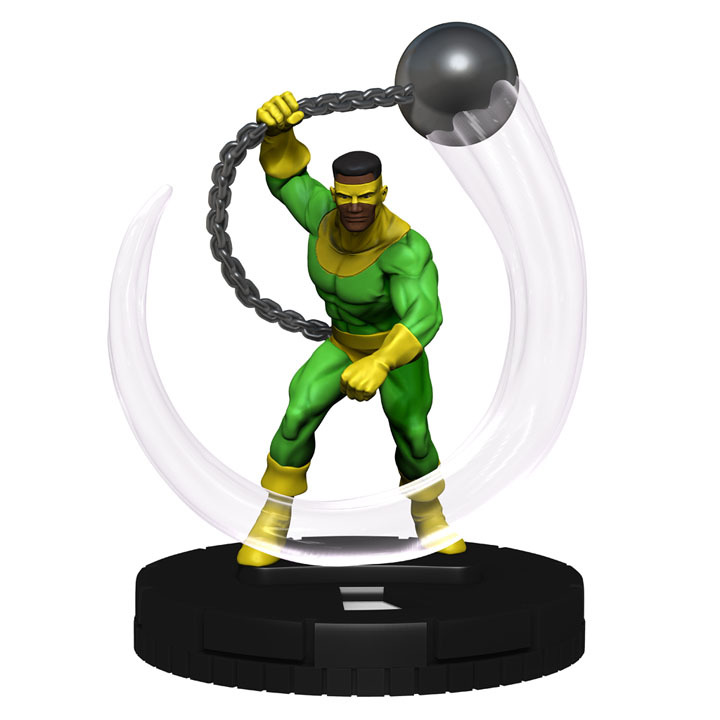 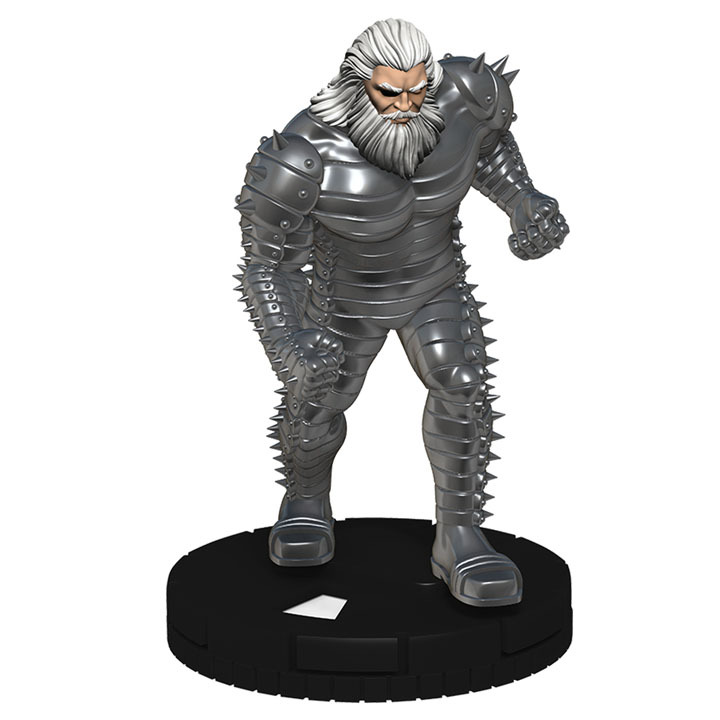 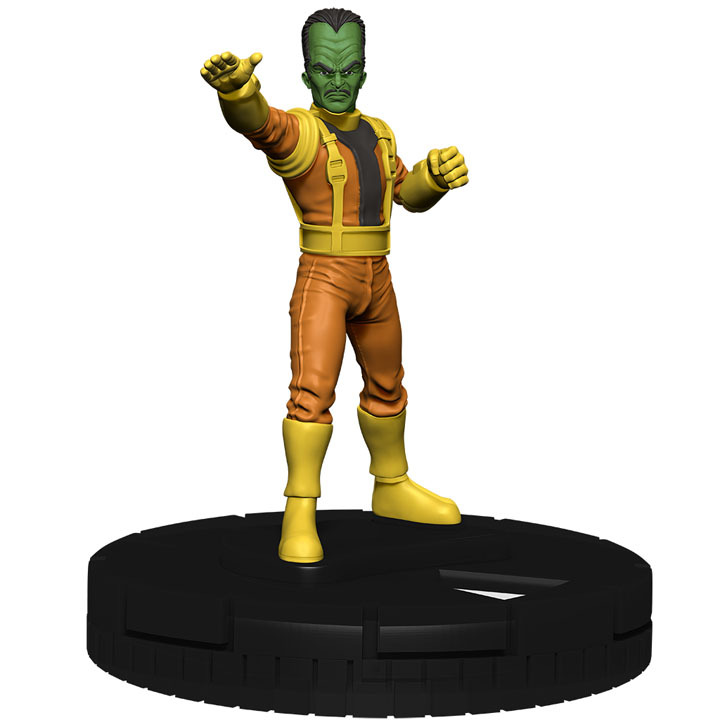 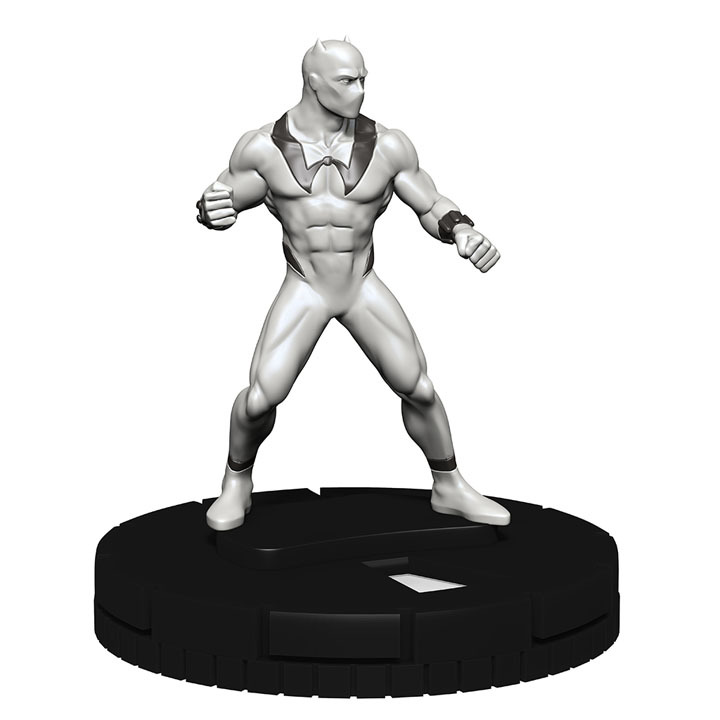 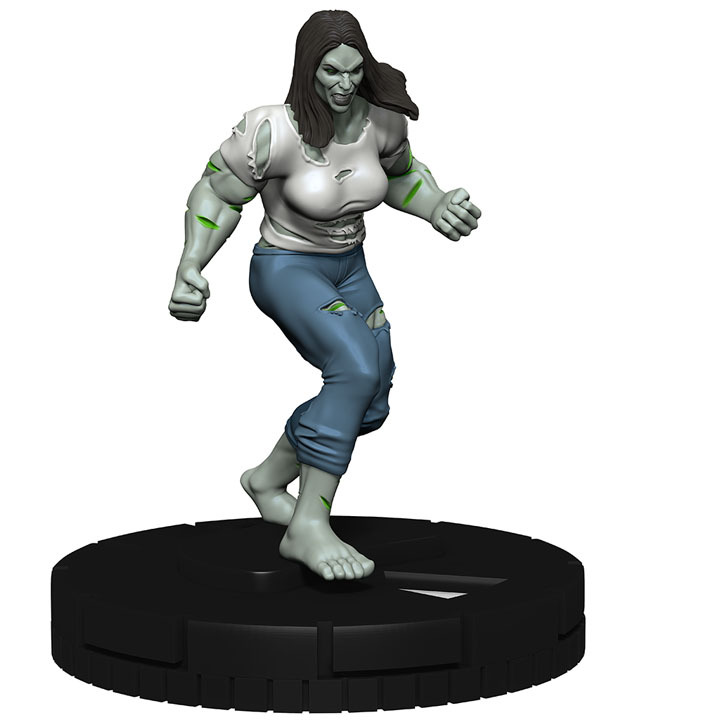 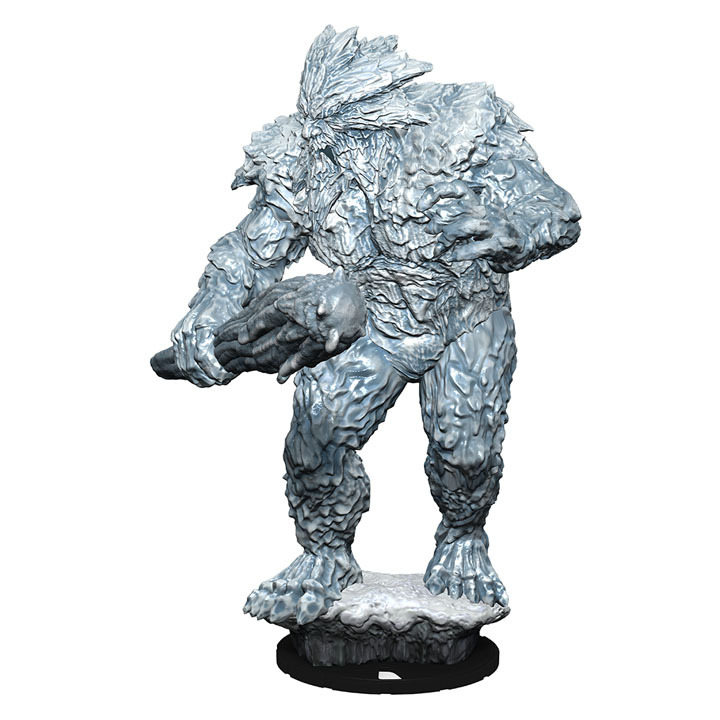 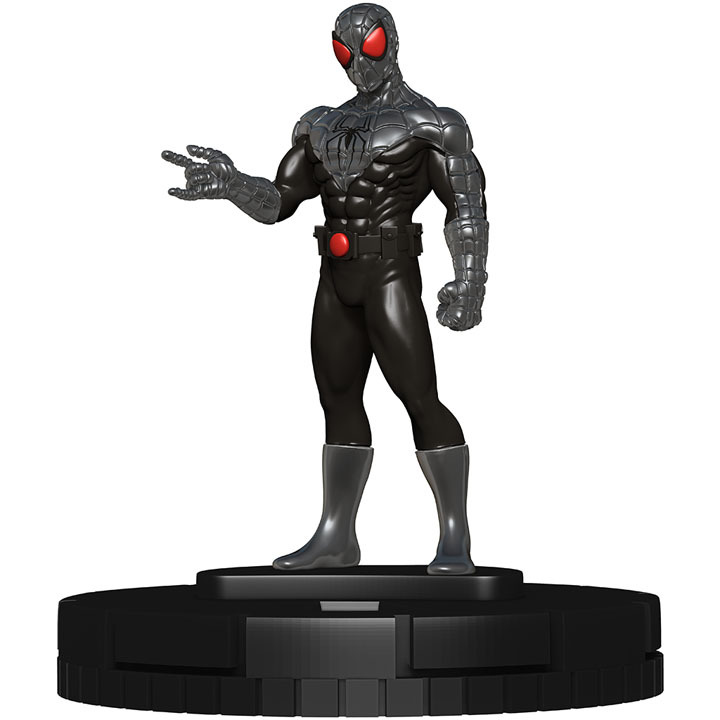 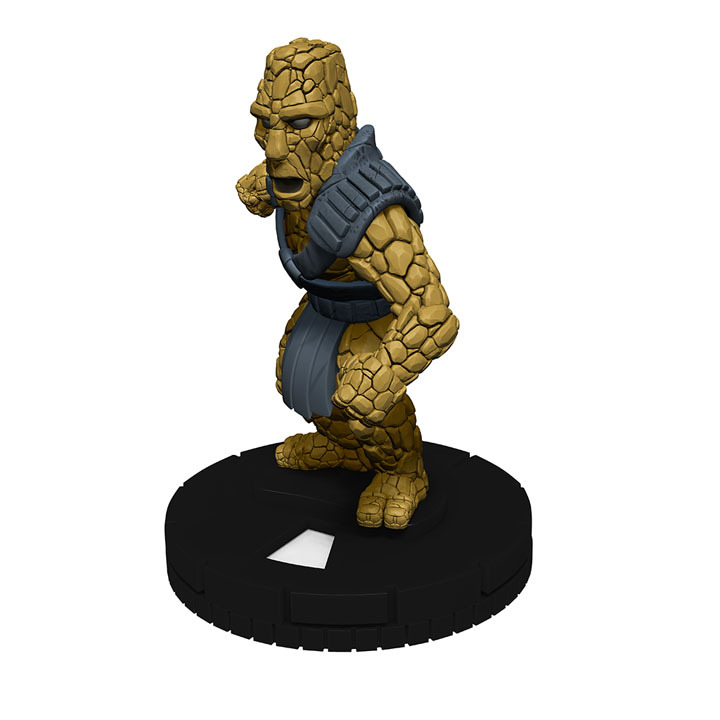 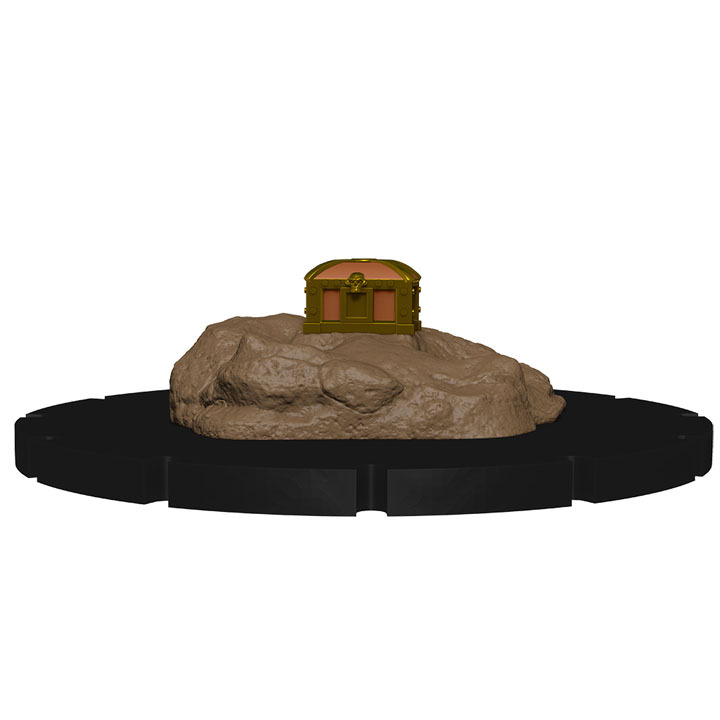 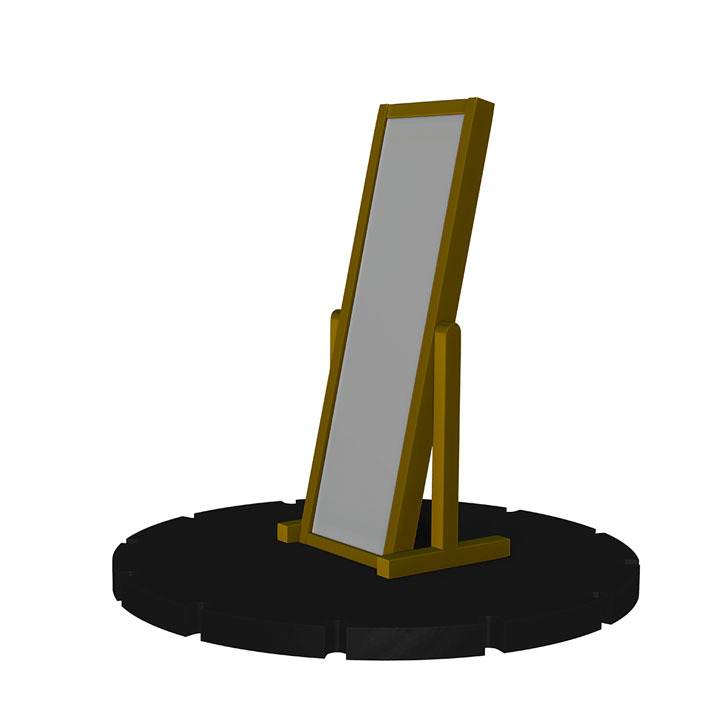 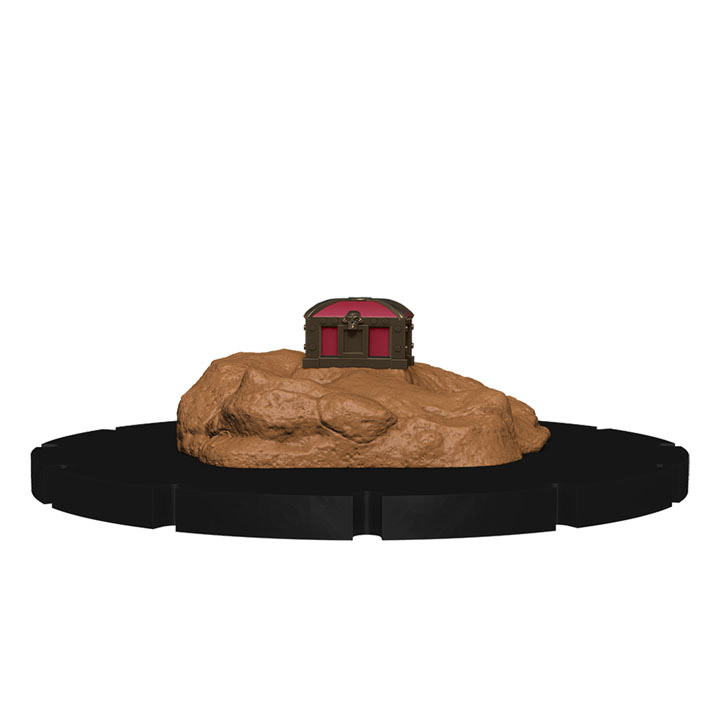 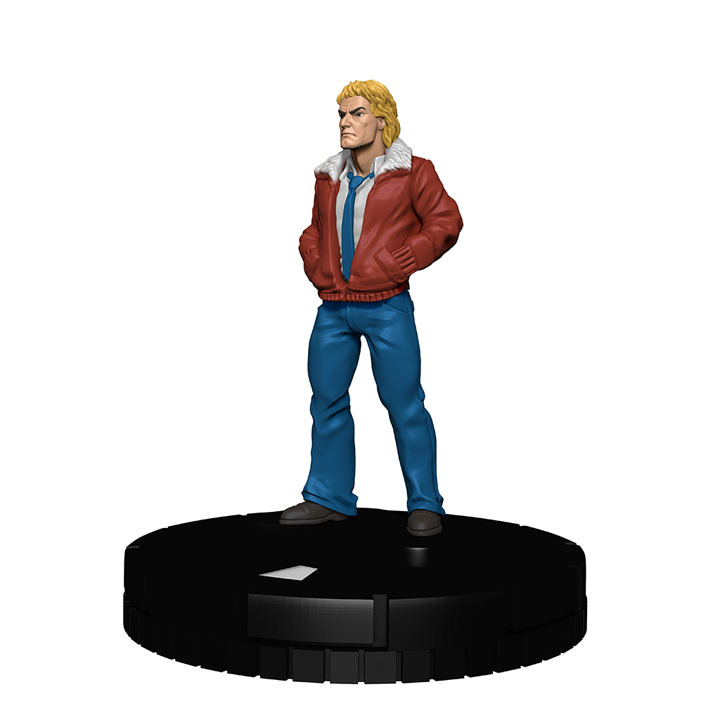 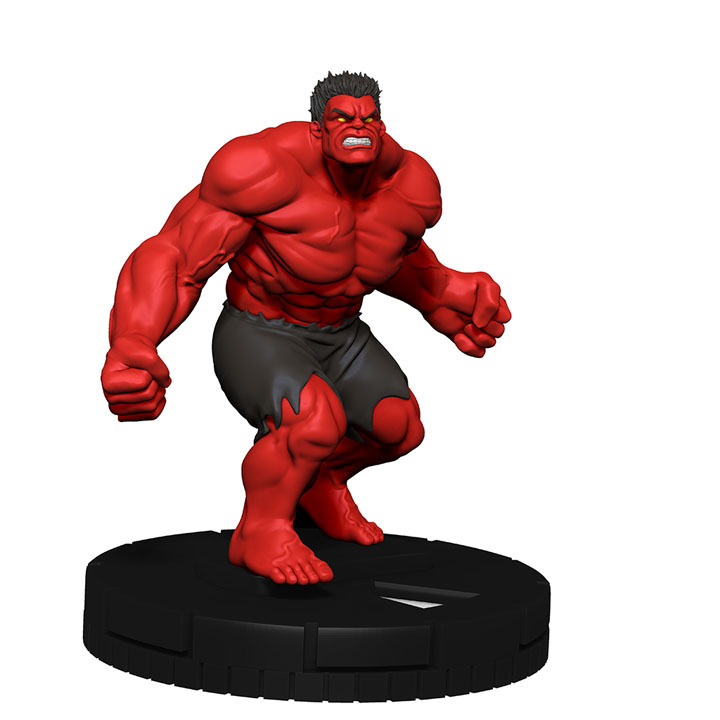 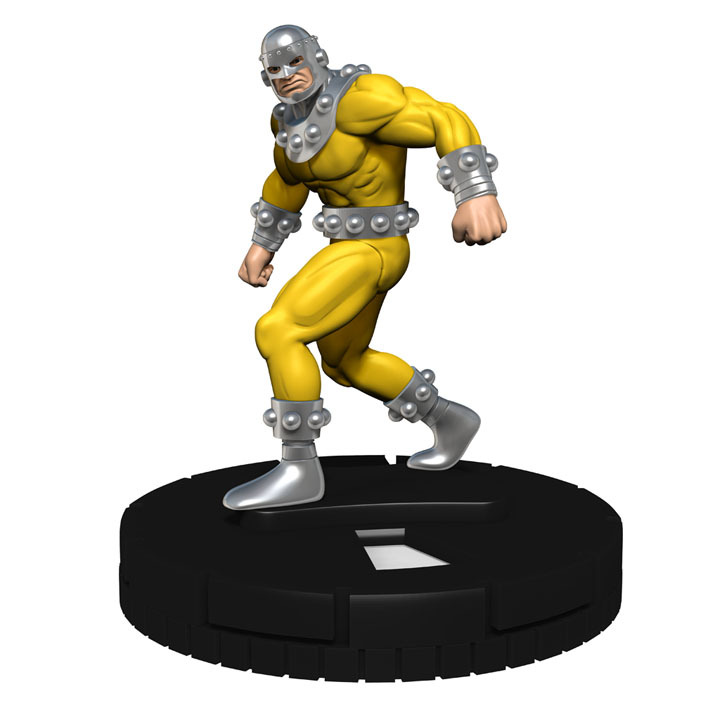 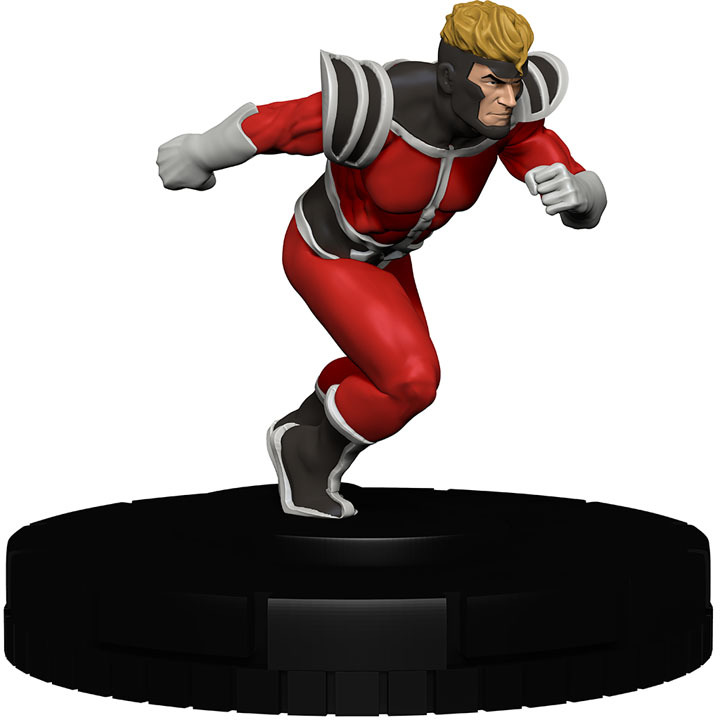 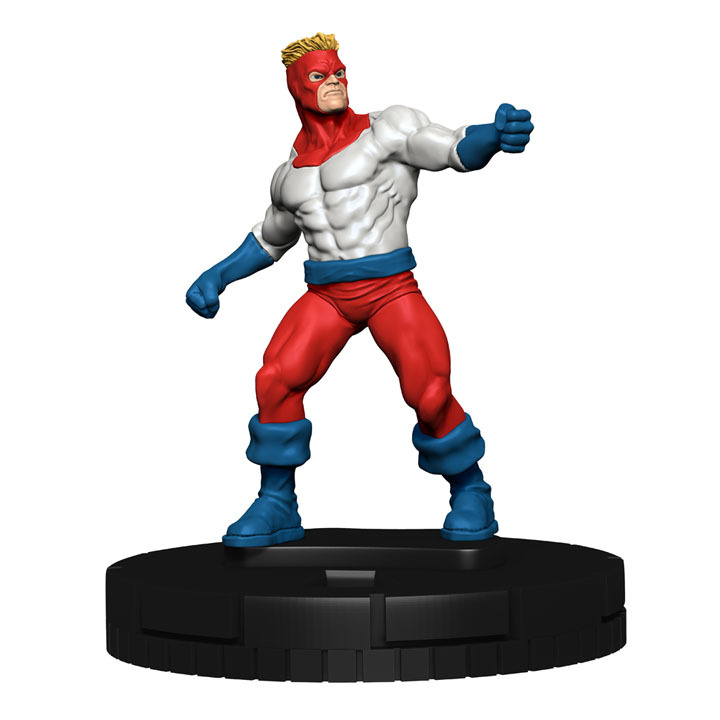 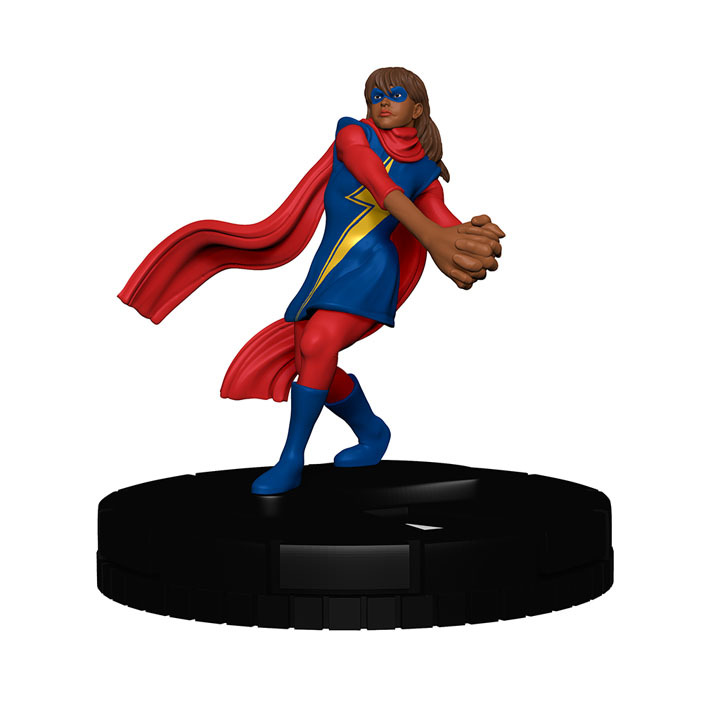 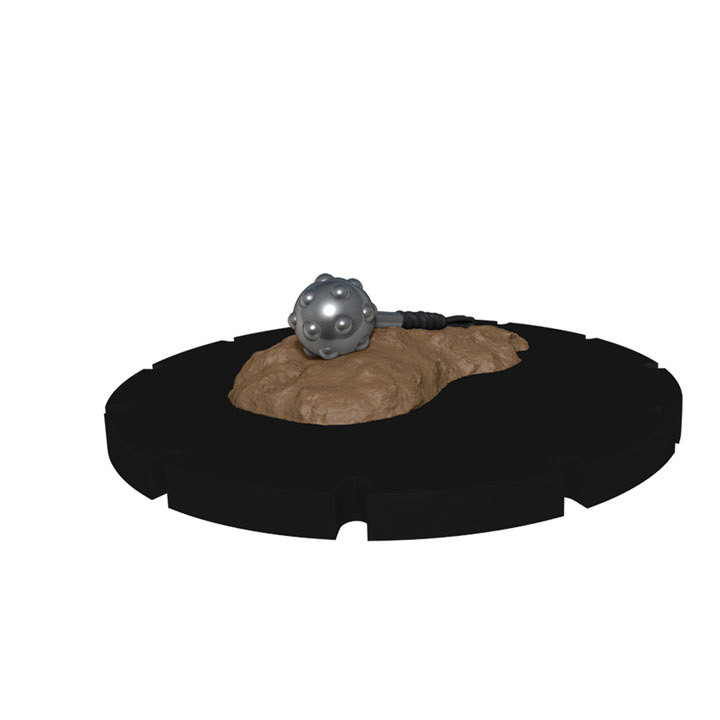 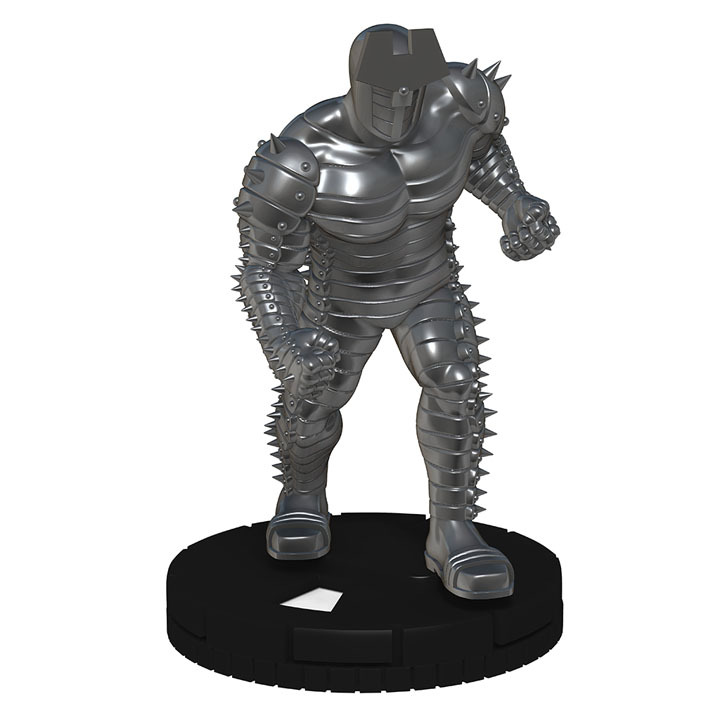 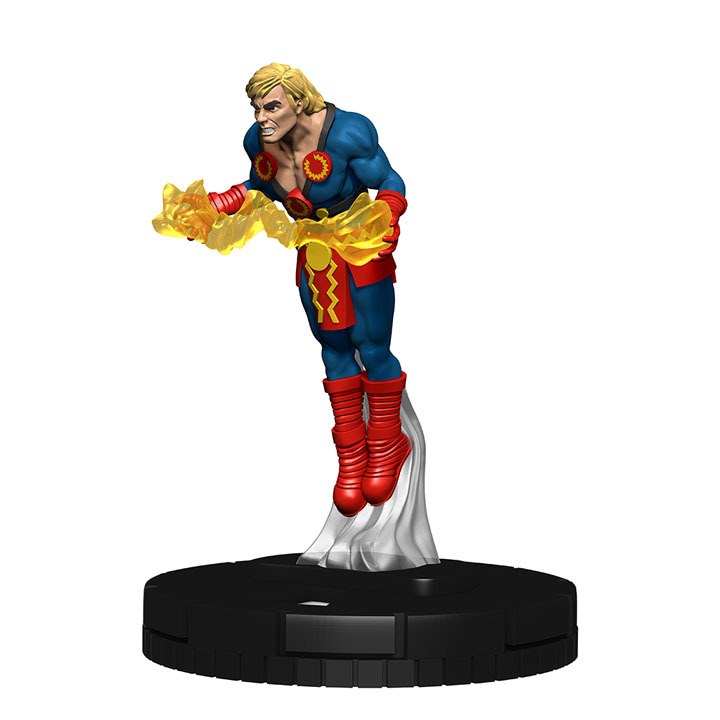 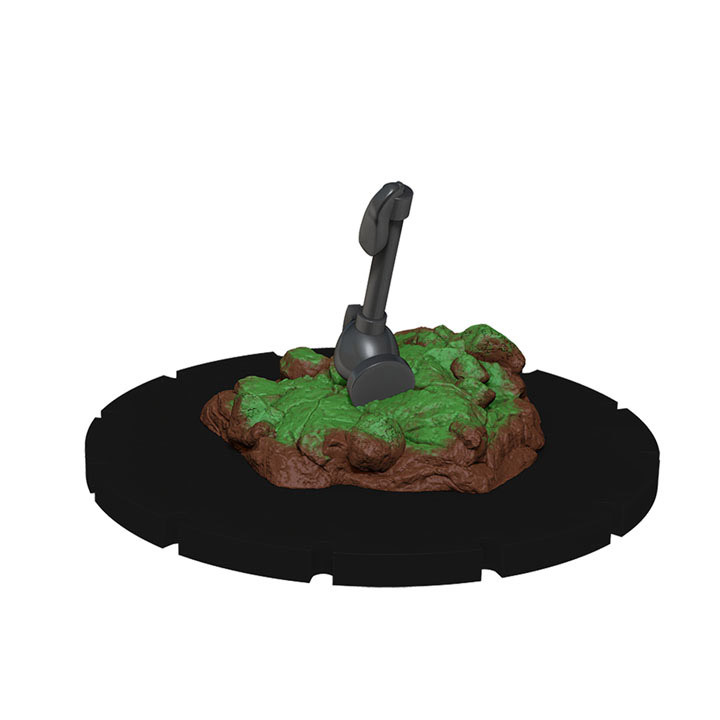 Each Super booster contains a Colossal HeroClix figure, and an object that can be used on a force without a Legendary Wielder! 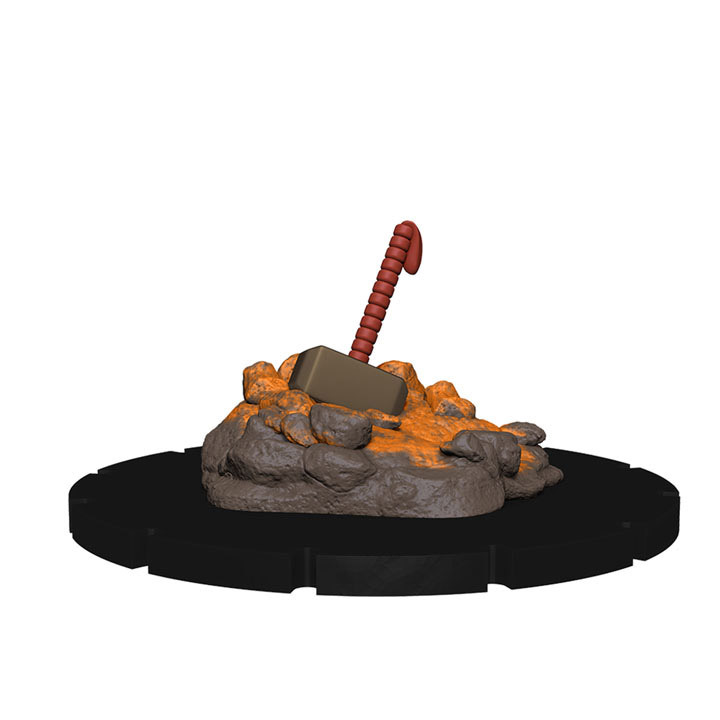 Who will defend Asgard and the Ten Realms from all foes that stand in the way? 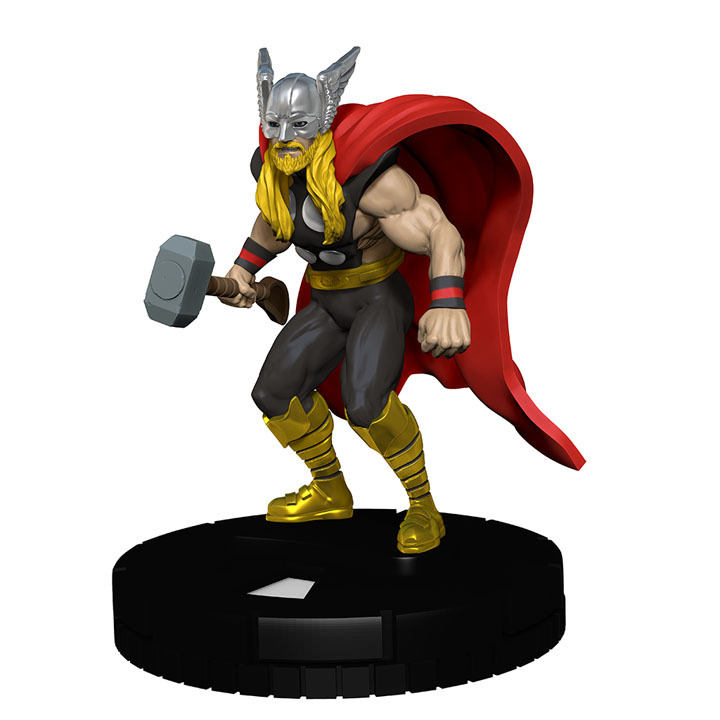 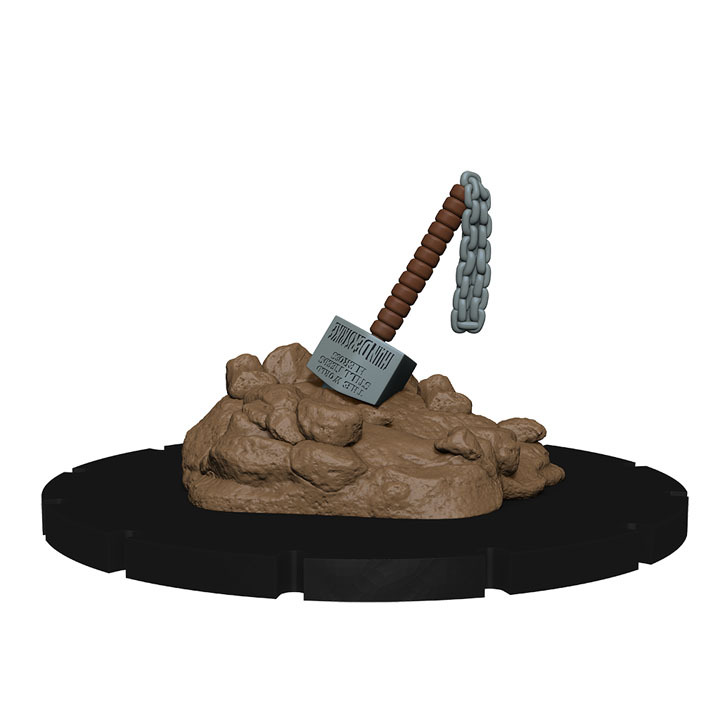 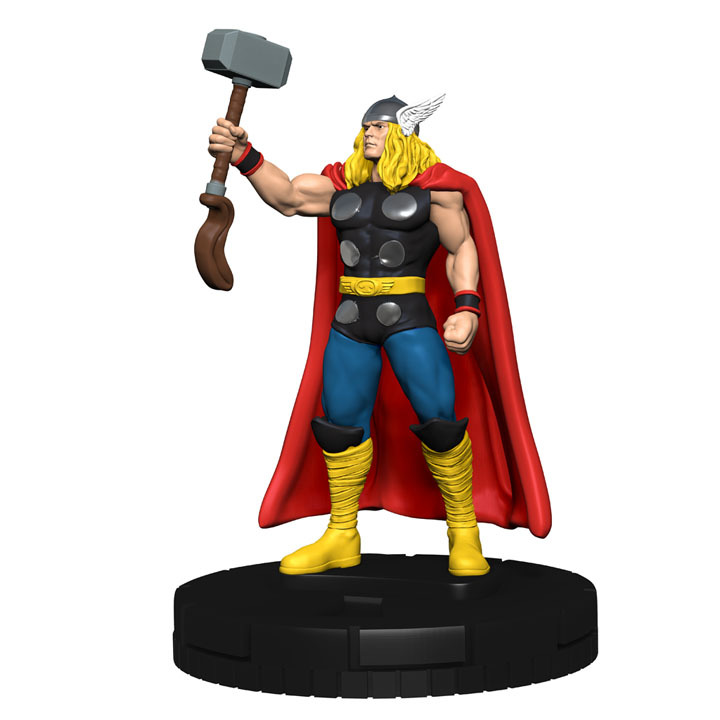 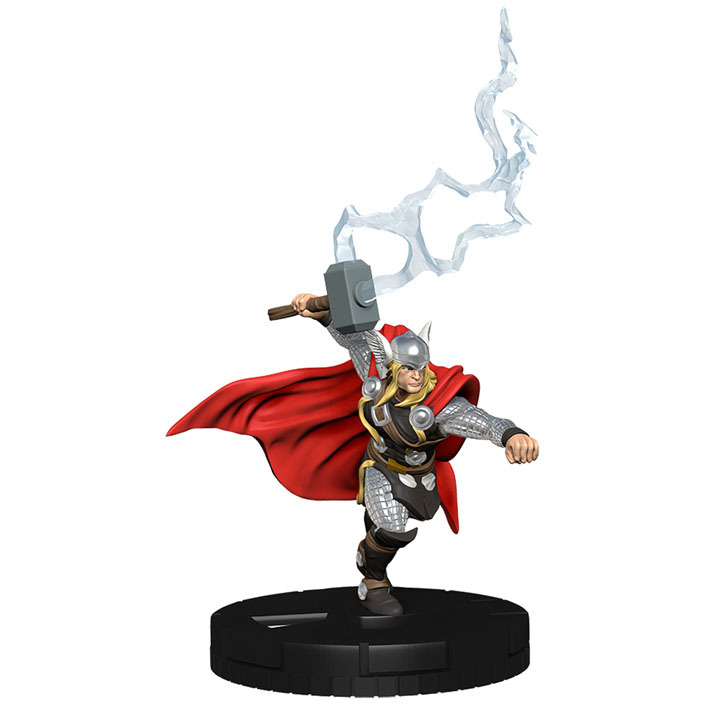 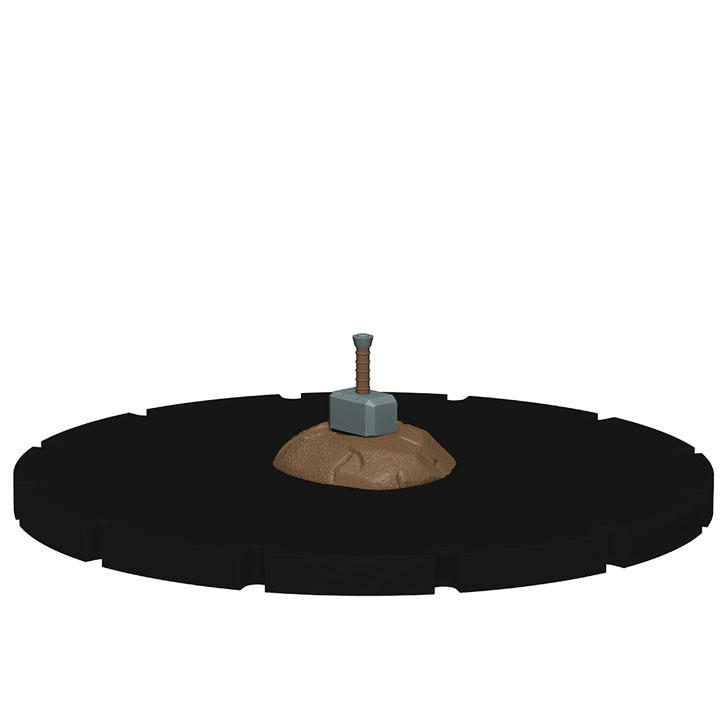 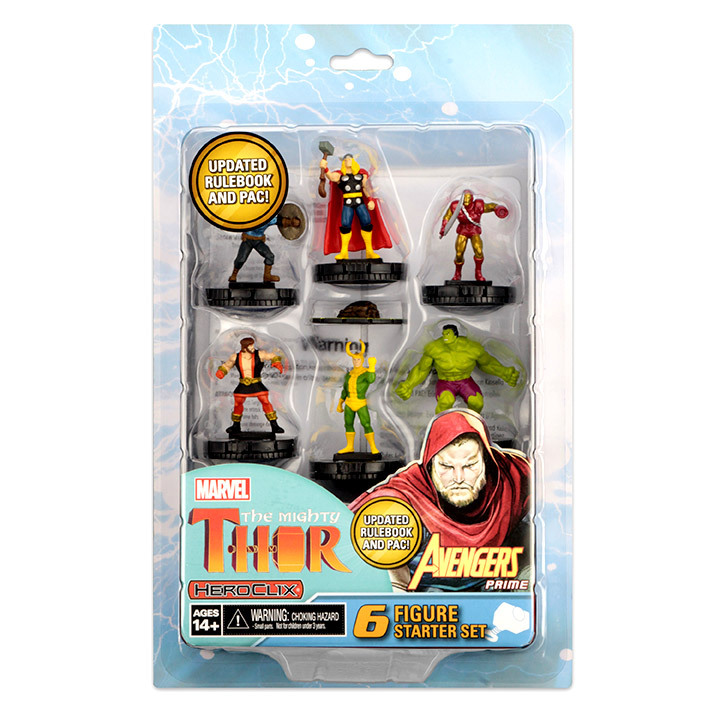 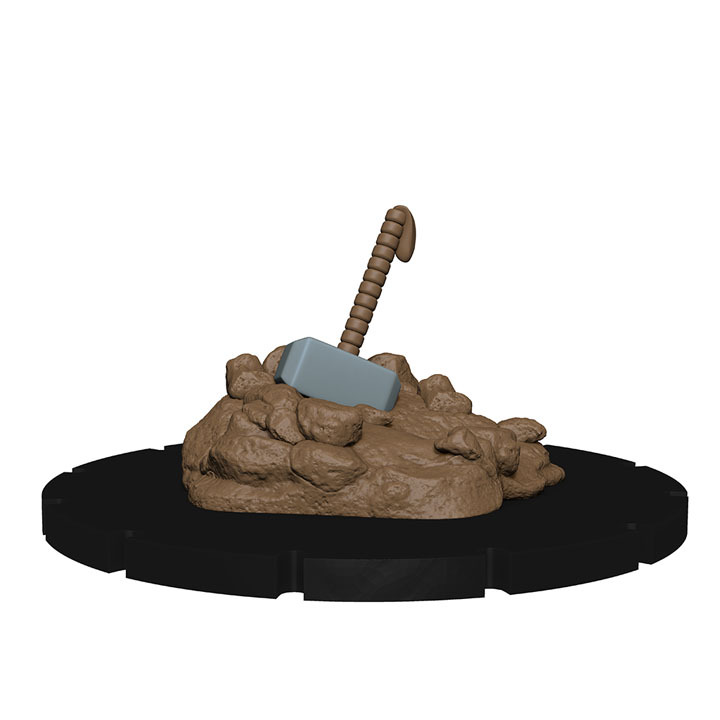 Celebrate the release of the Marvel HeroClix: The Mighty Thor with this all-new HeroClix Starter Set!The Marvel HeroClix: The Mighty Thor Starter Set includes six iconic figures with all-new dials and a brand-new 3D object! 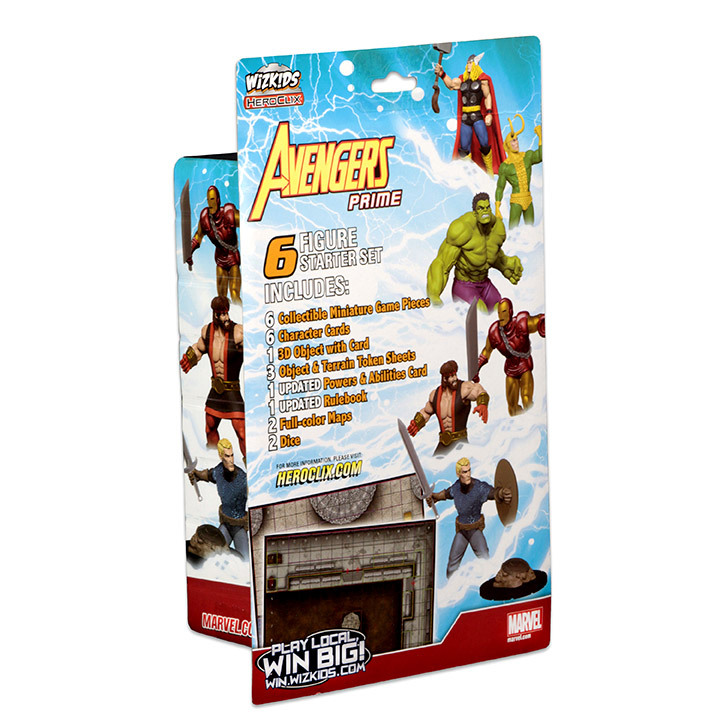 This Starter Set features the Avengers Prime team of Thor, Captain America, and Iron Man, joining together to take on all challengers! 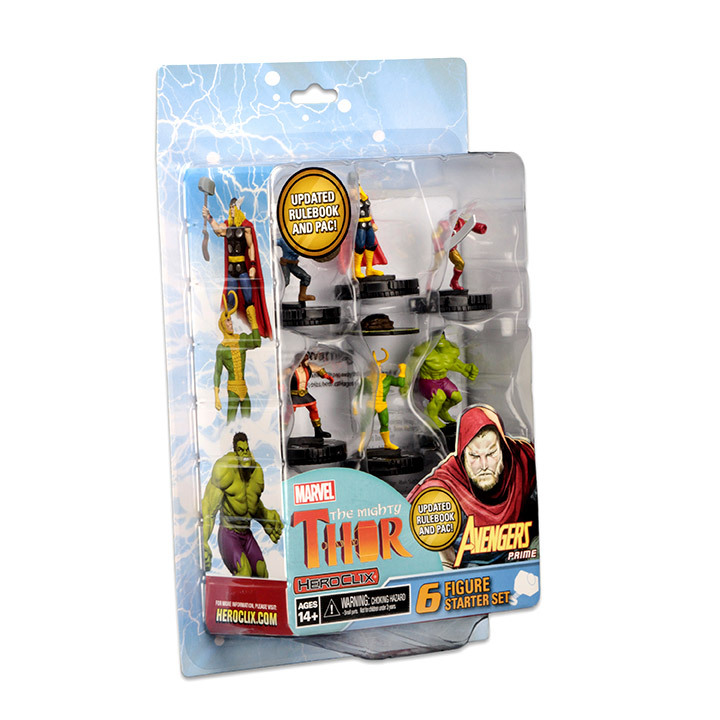 Other Avengers allies like Hulk and Hercules can join forces against Thor’s mischievous adoptive brother, Loki! 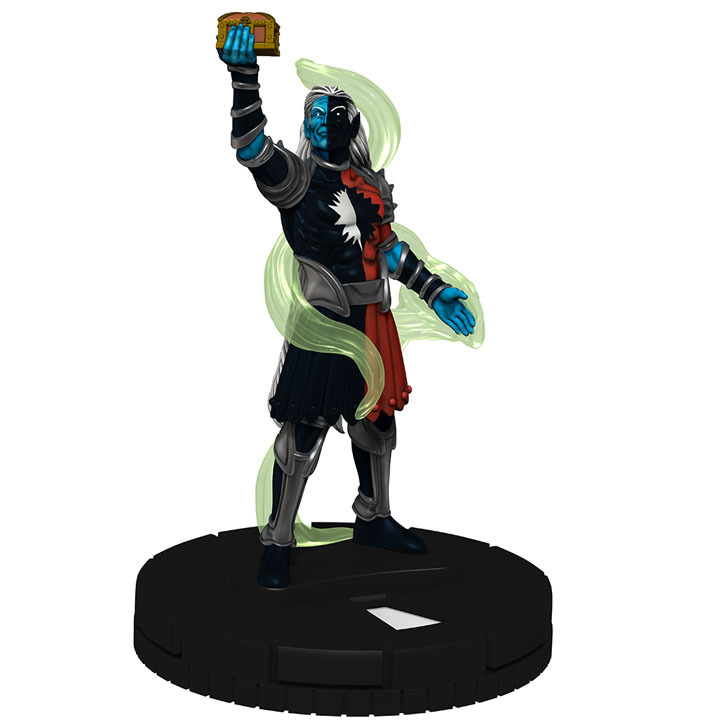 Includes everything a player needs to play HeroClix: one double-sided map, Rulebook, Powers and Abilities Card (PAC), Object and Terrain tokens, Dice, and Character cards. 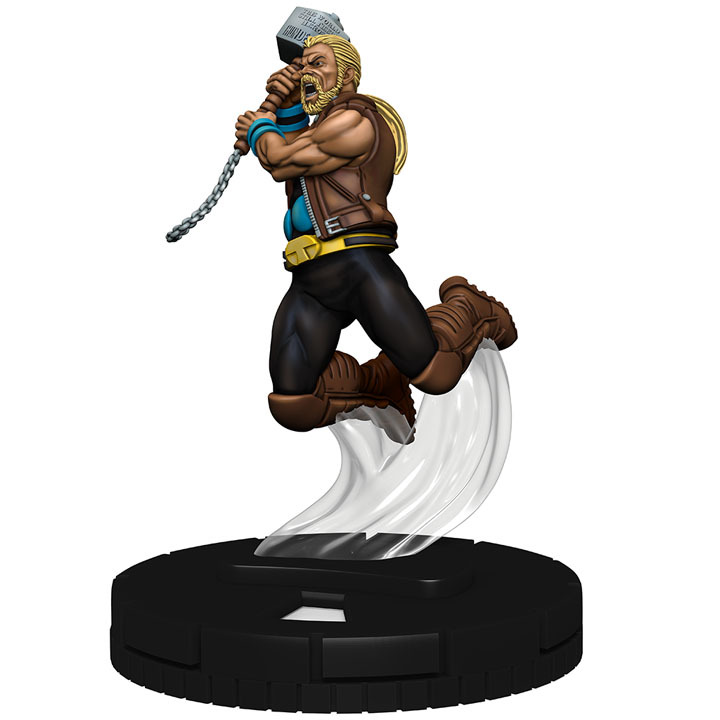 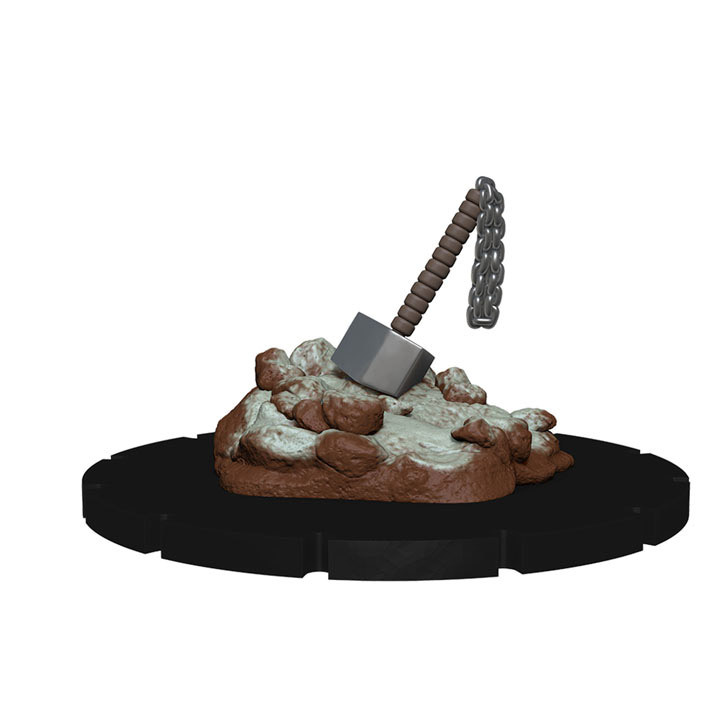 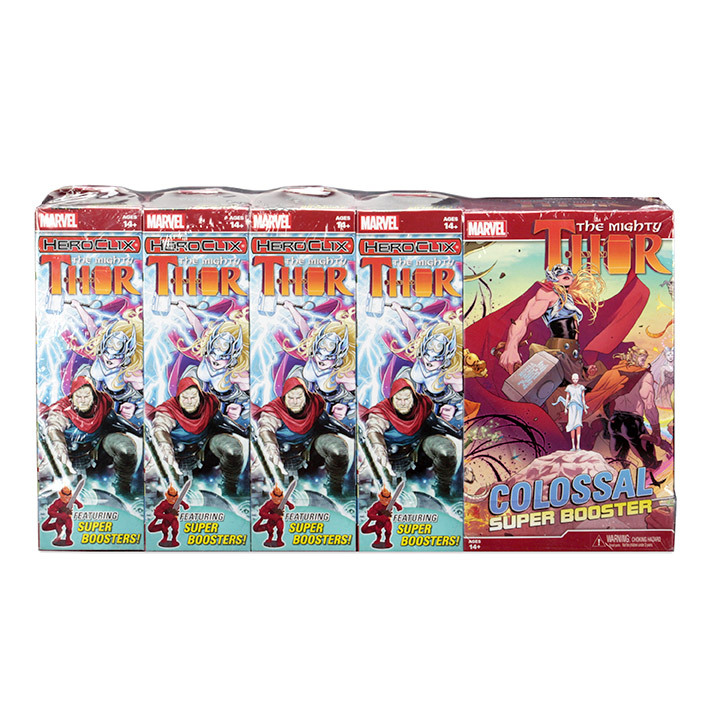 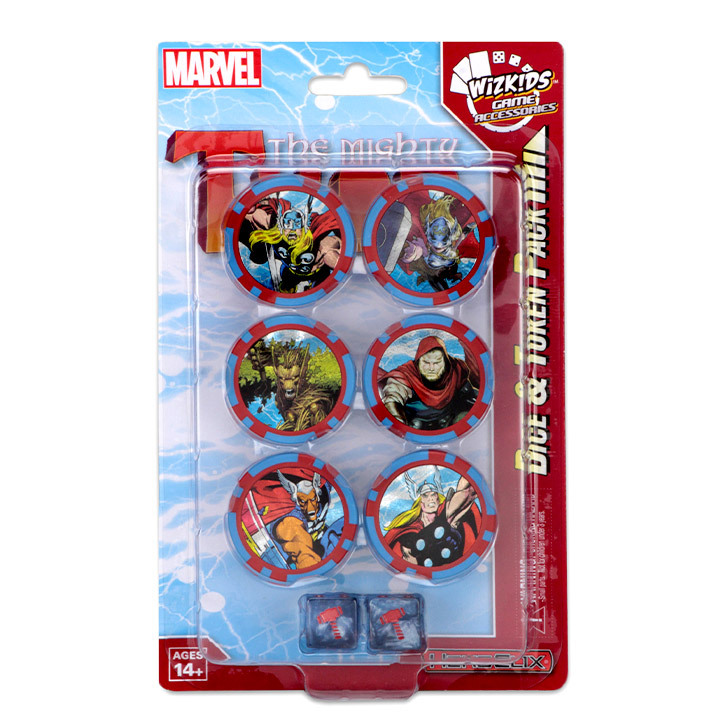 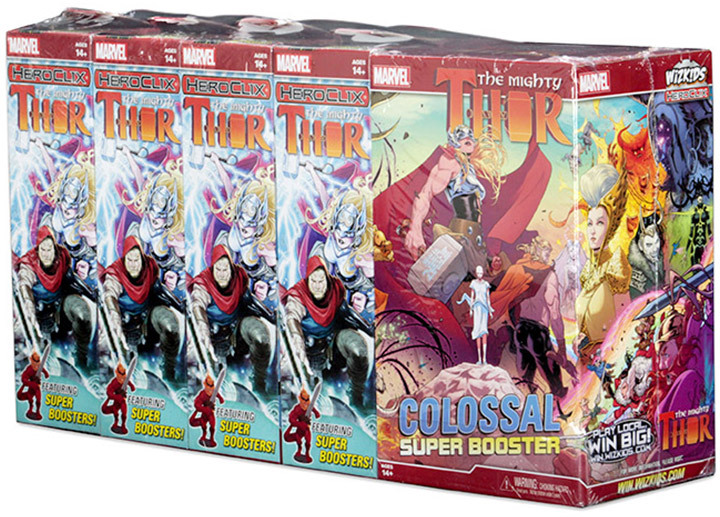 The Marvel HeroClix: The Mighty Thor Dice & Token Pack contains 2 custom dice featuring Thor icon and 6 action tokens featuring the God of Thunder himself!The Marvel HeroClix: The Mighty Thor Dice & Token Pack is a great way to enhance your HeroClix experience!